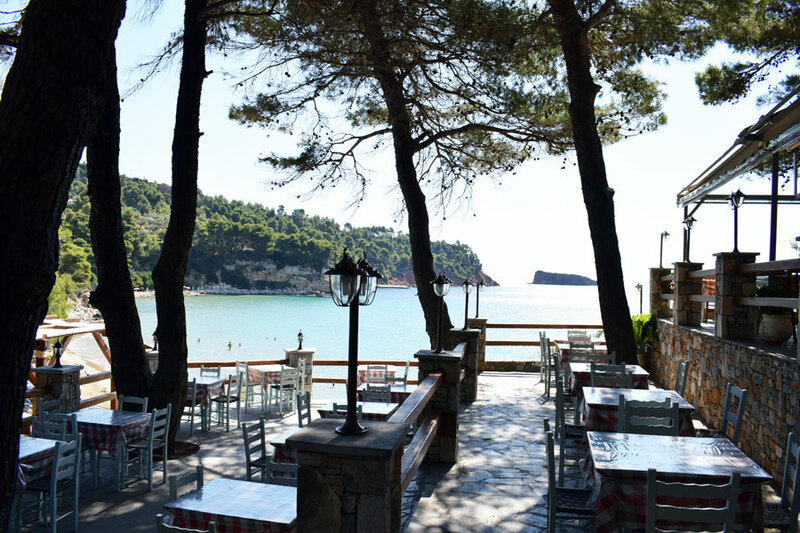 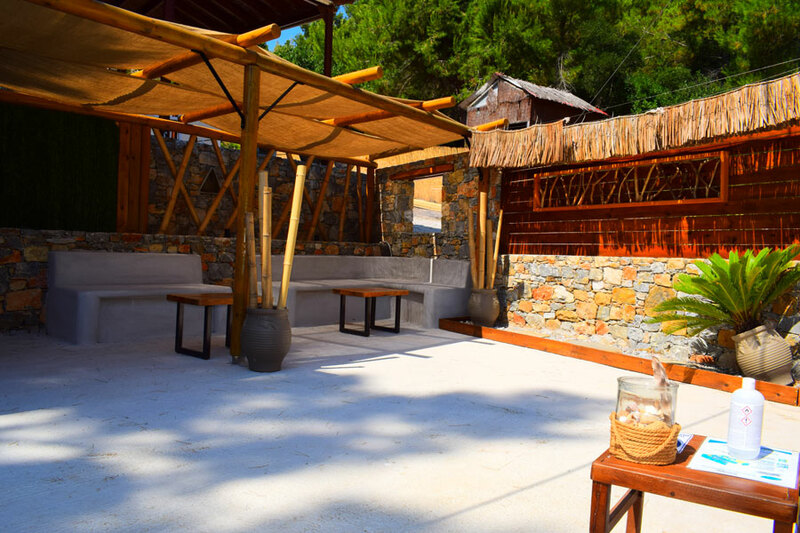 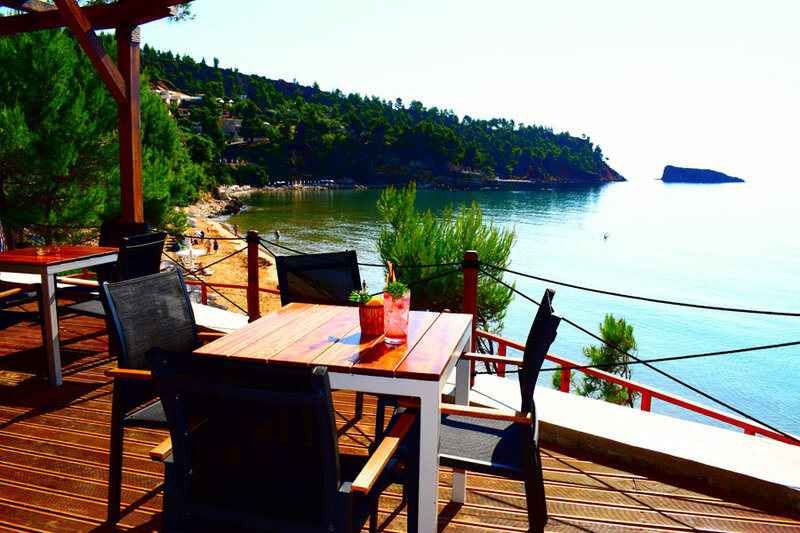 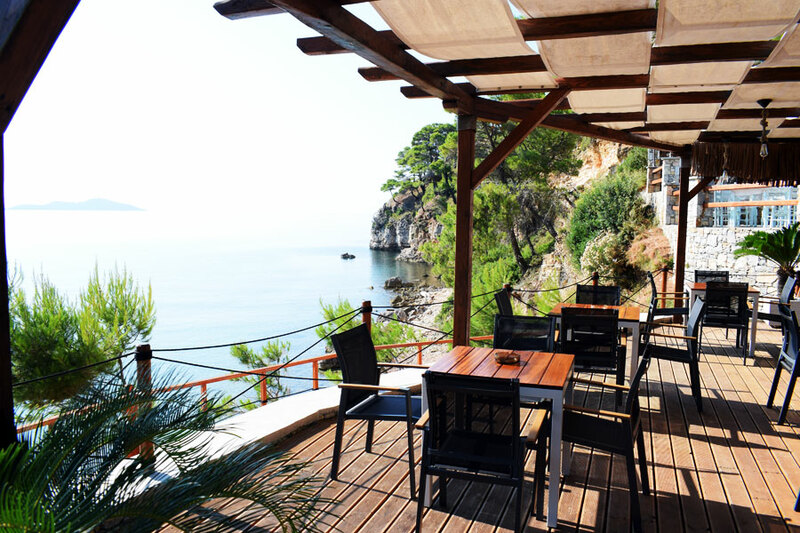 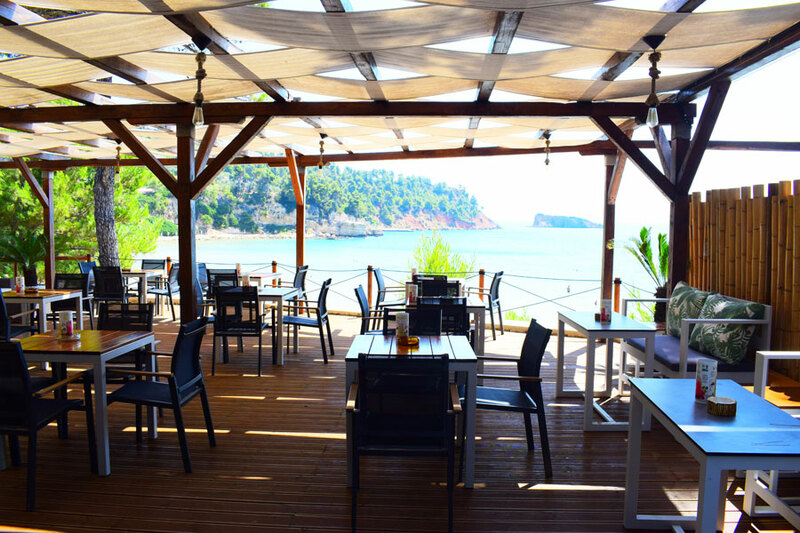 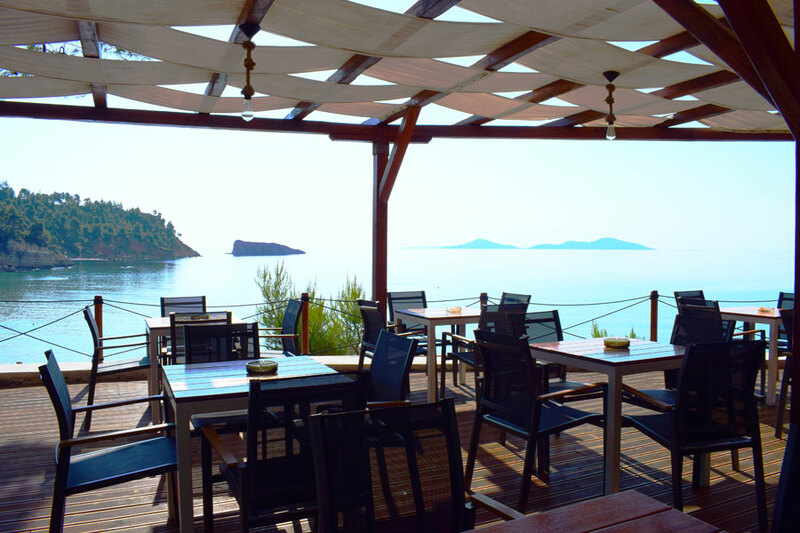 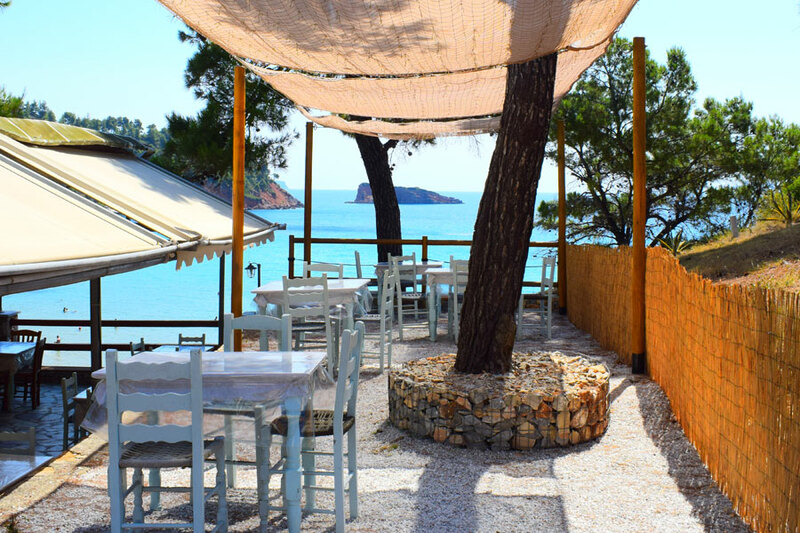 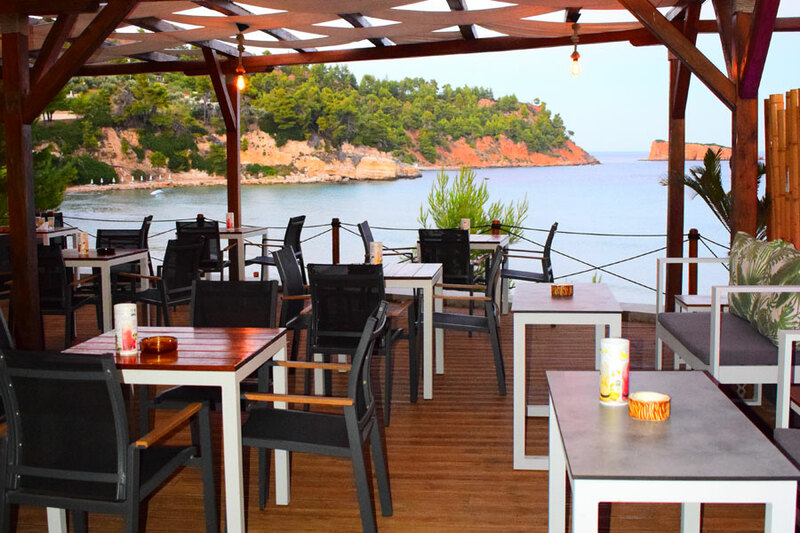 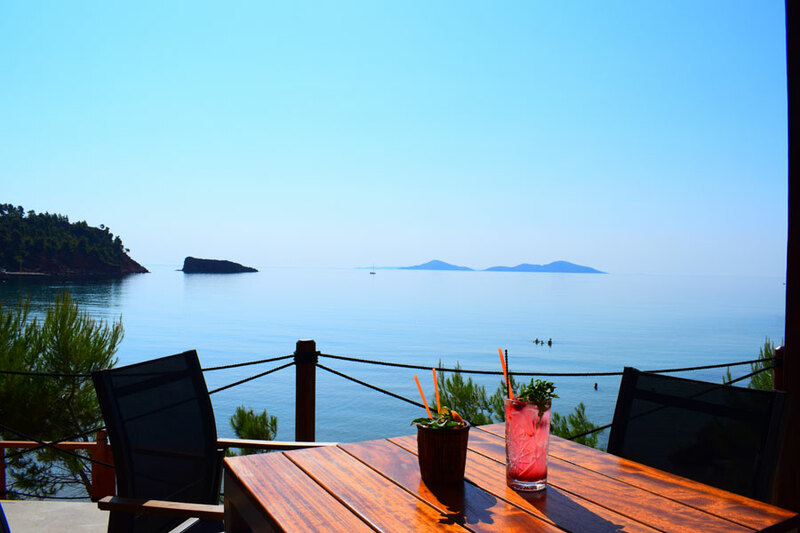 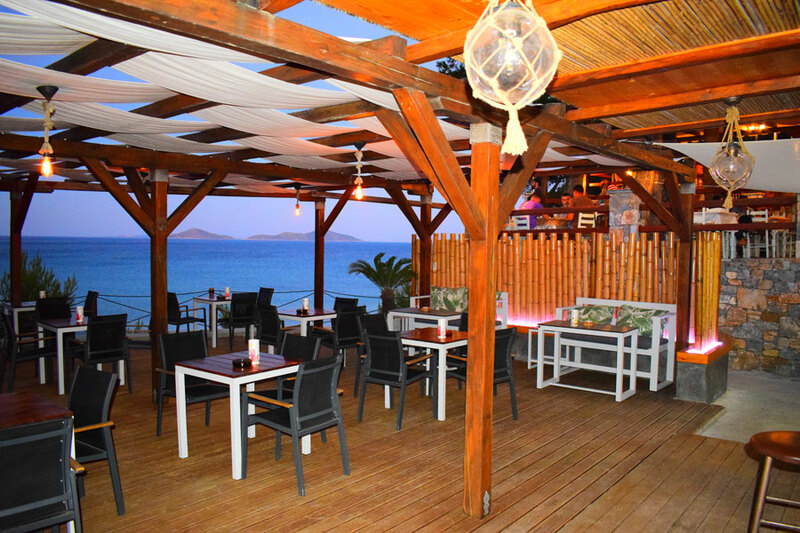 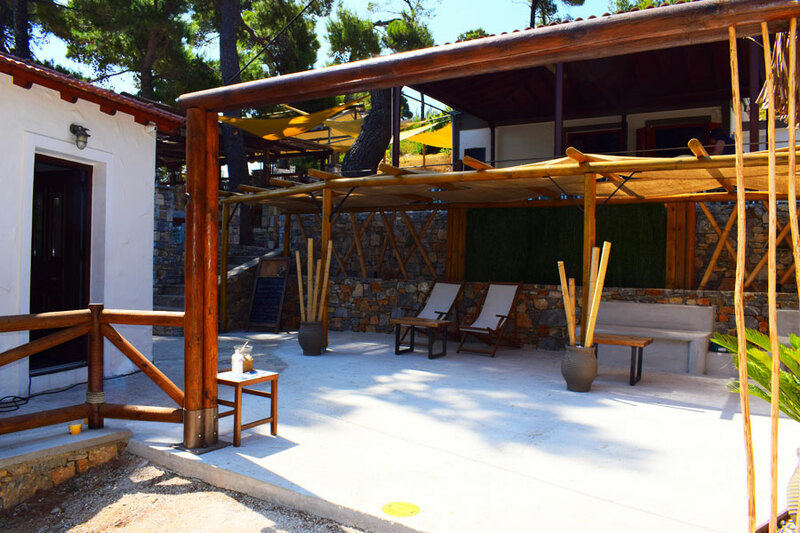 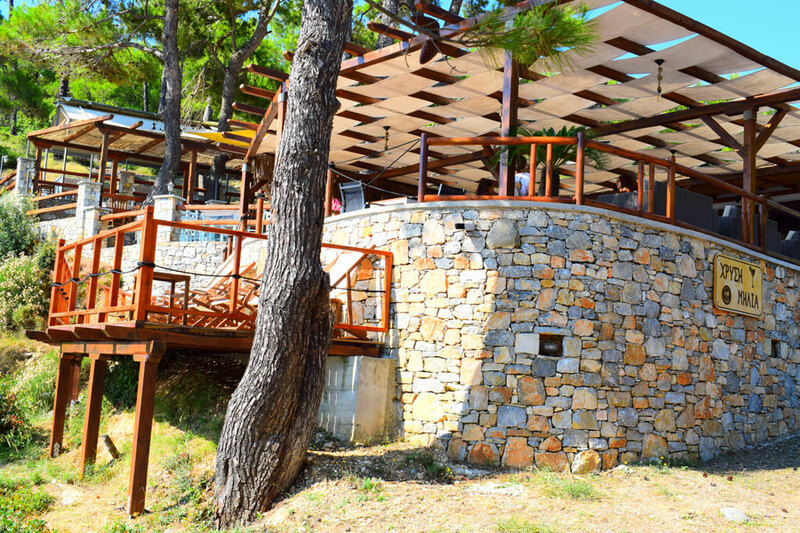 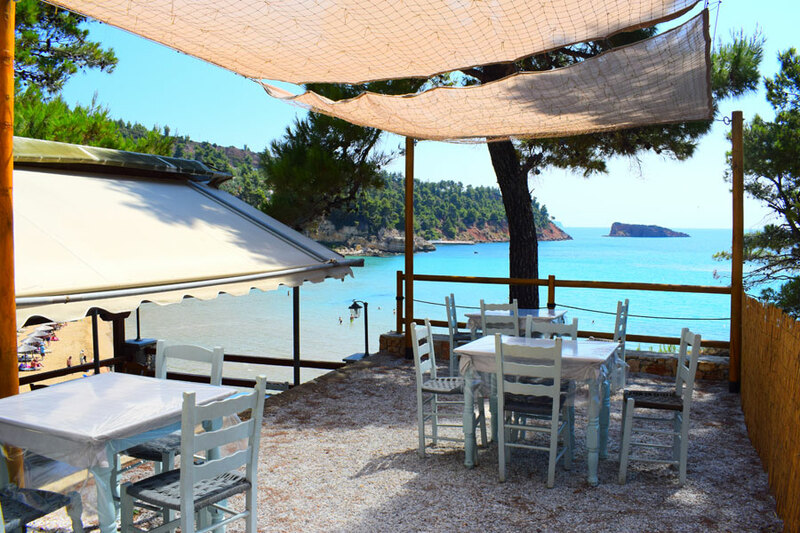 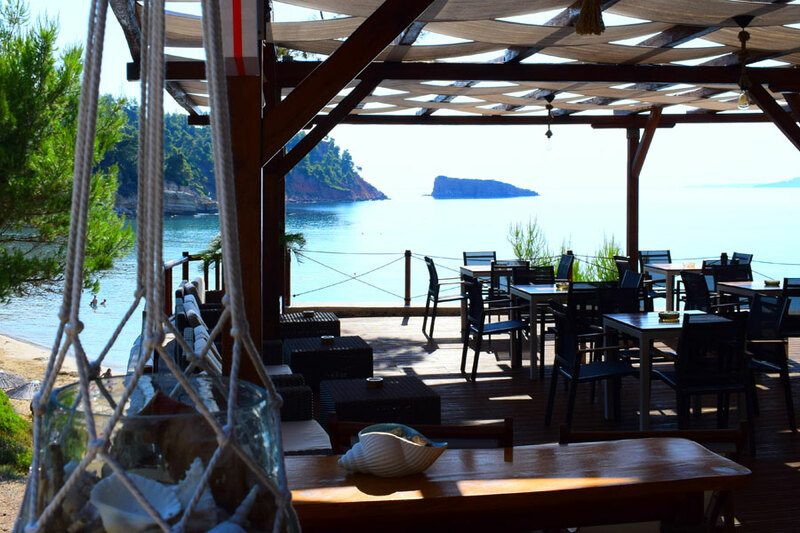 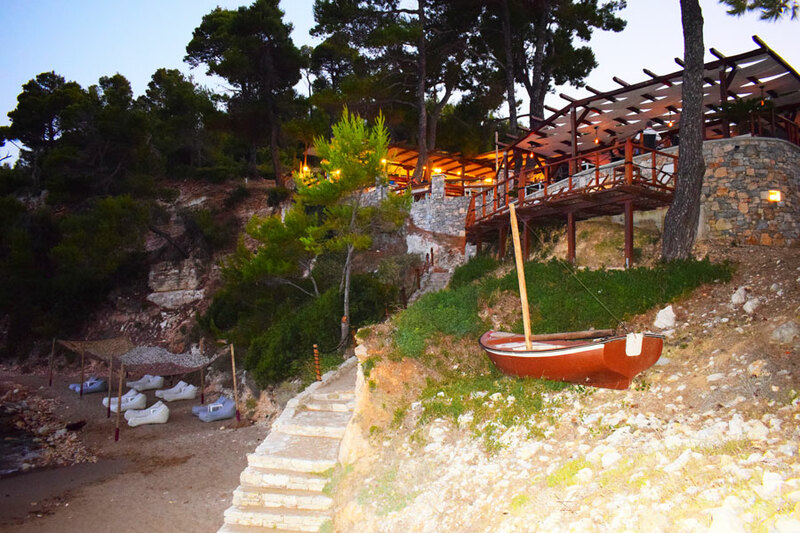 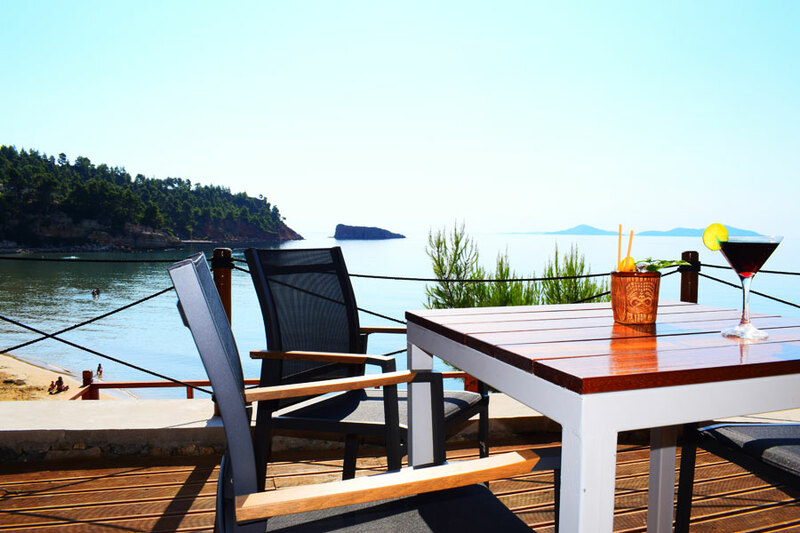 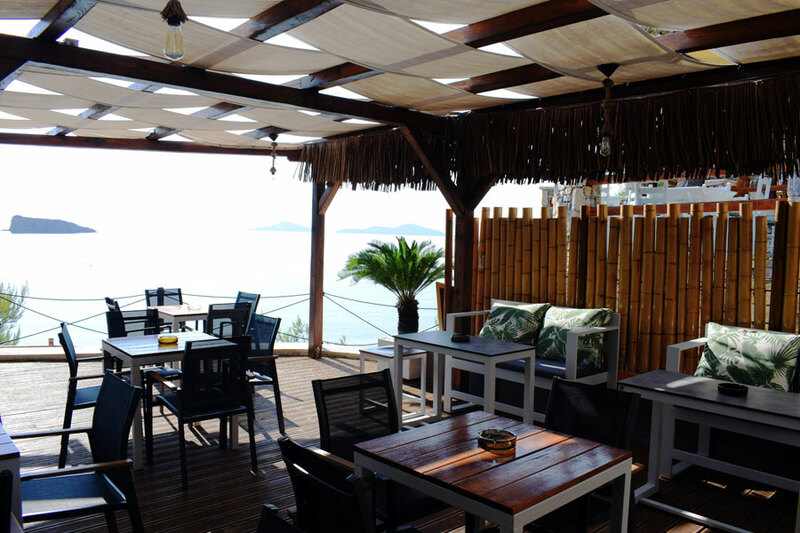 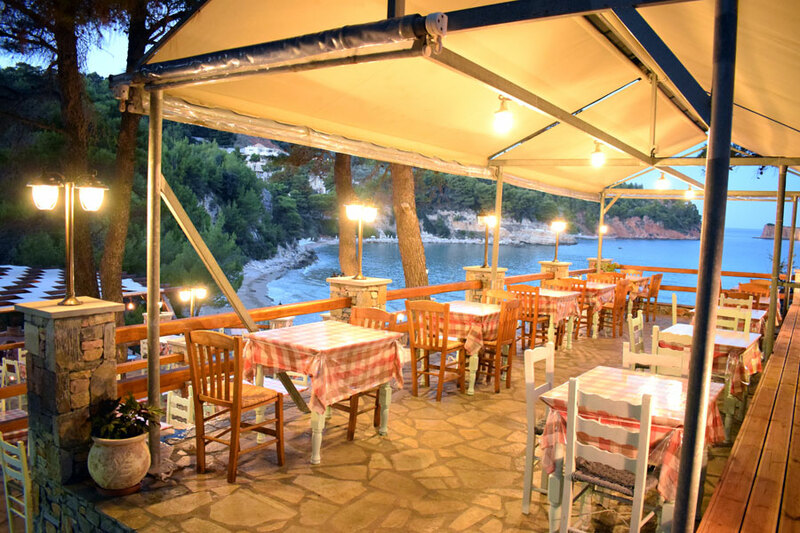 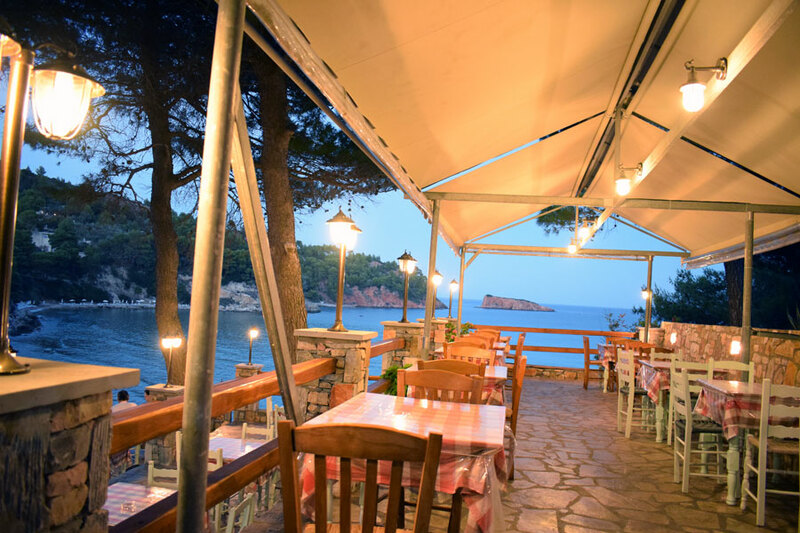 Restaurant Café Bar "Chrisi Milia"
Chrisi Milia restaurant is located in one of the most beautiful and famous beaches of Alonissos. 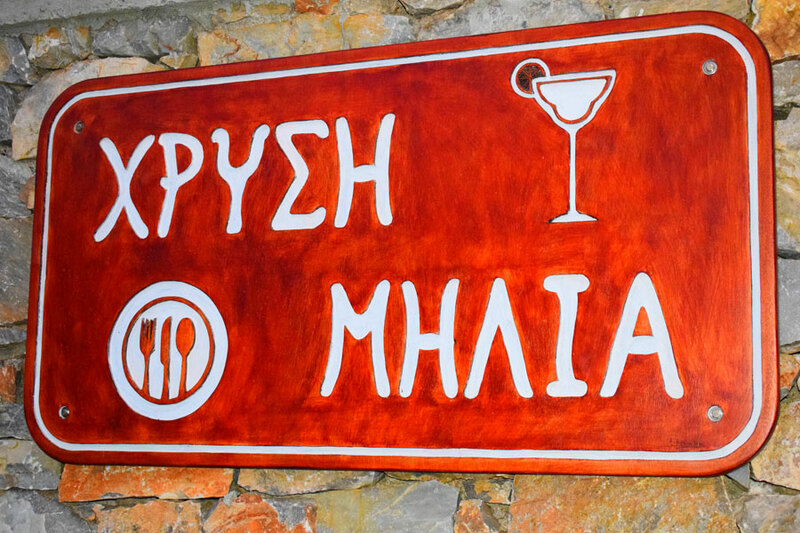 The Karoutsos family has created the restaurant in 1982 with love and passion. 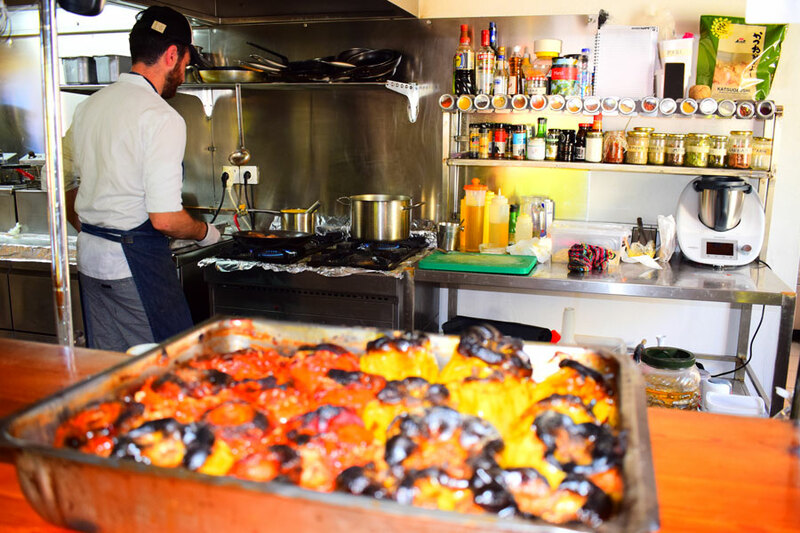 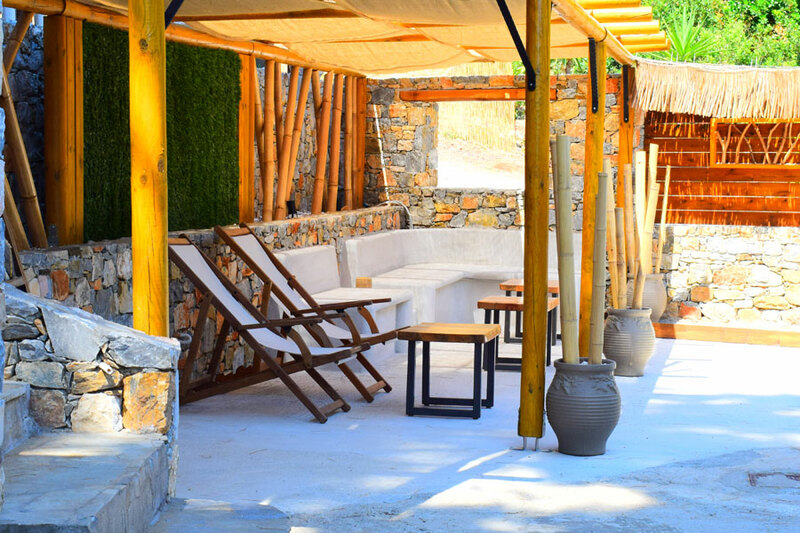 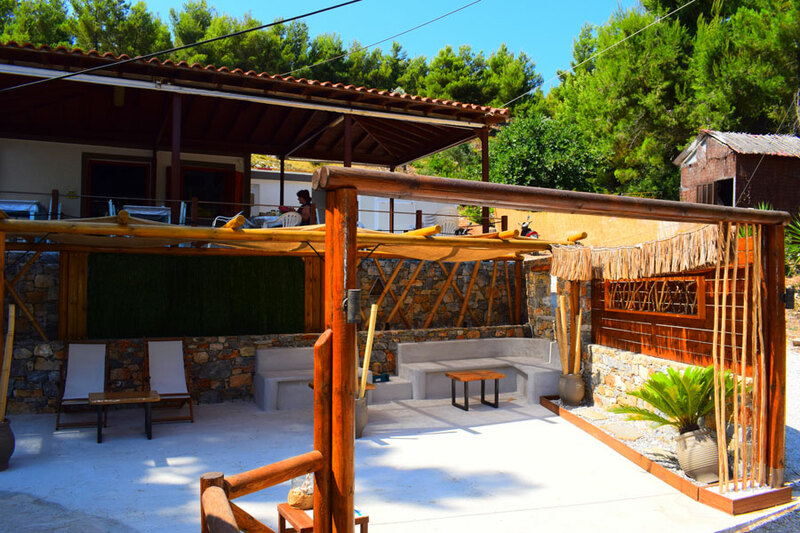 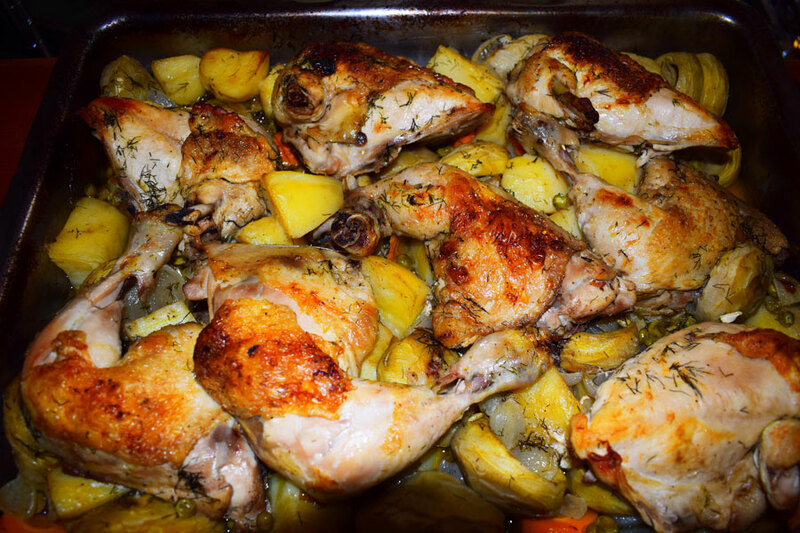 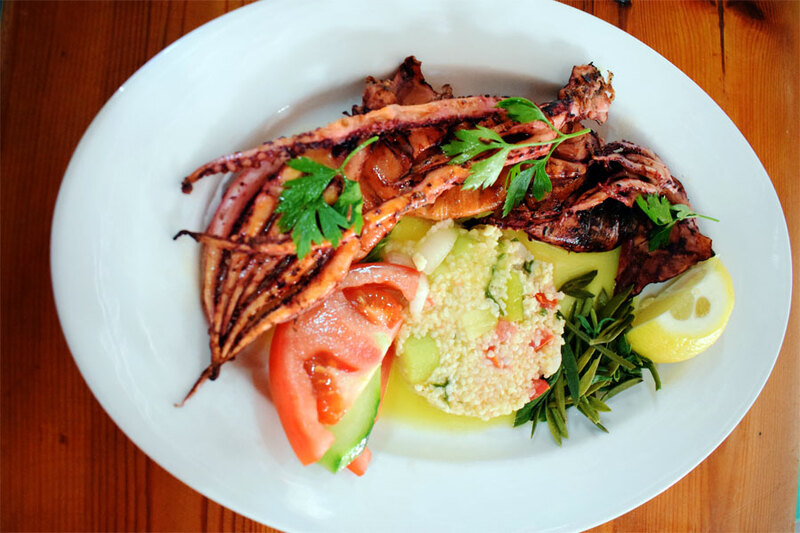 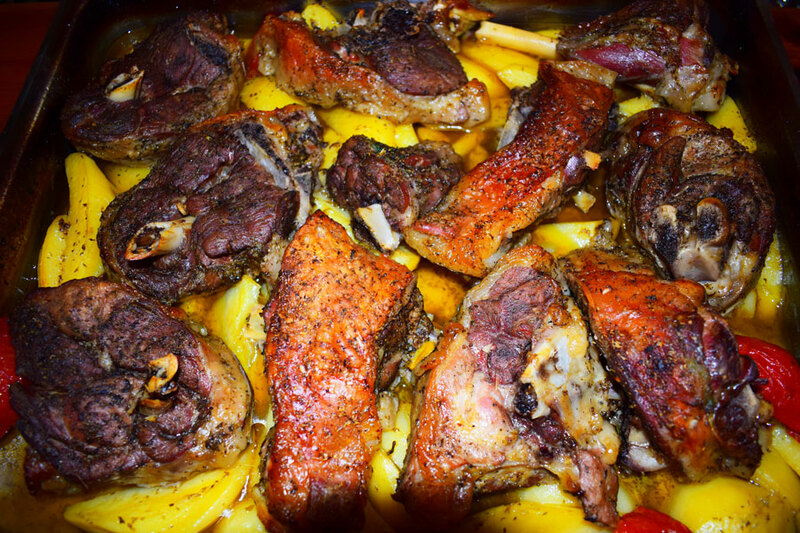 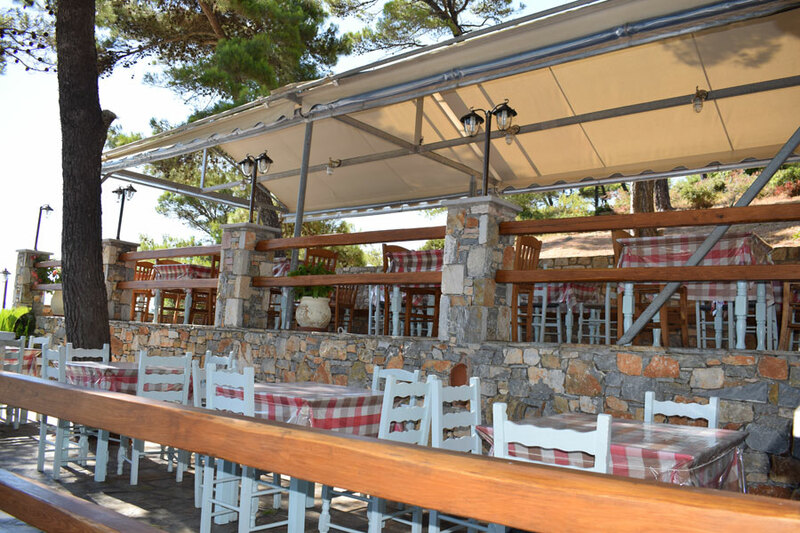 The family cares for the restaurant to represent worthily the Greek cuisine and the local traditional recipes. 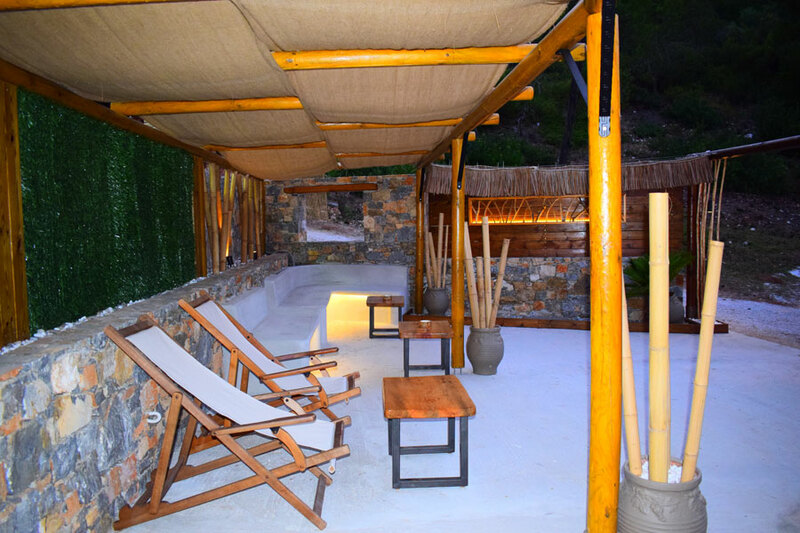 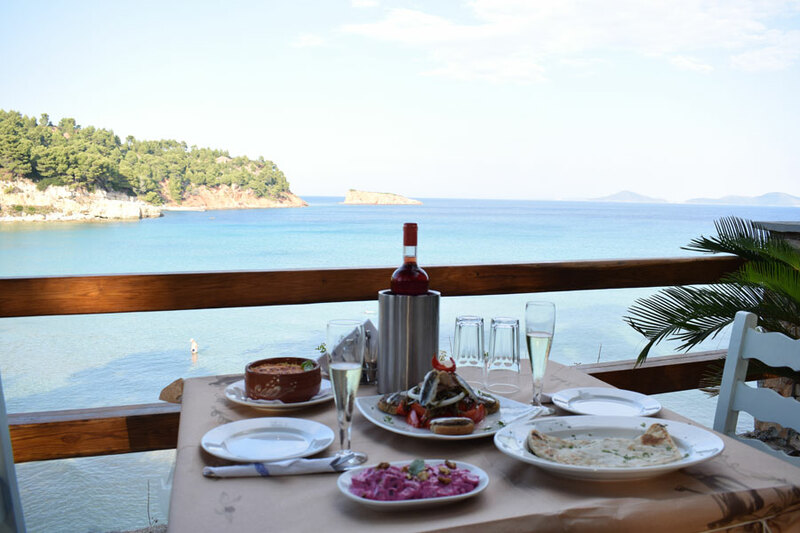 In a green spot overlooking the turquoise waters, the visitor has the opportunity to taste a variety of flavors and delicacies throughout the day. 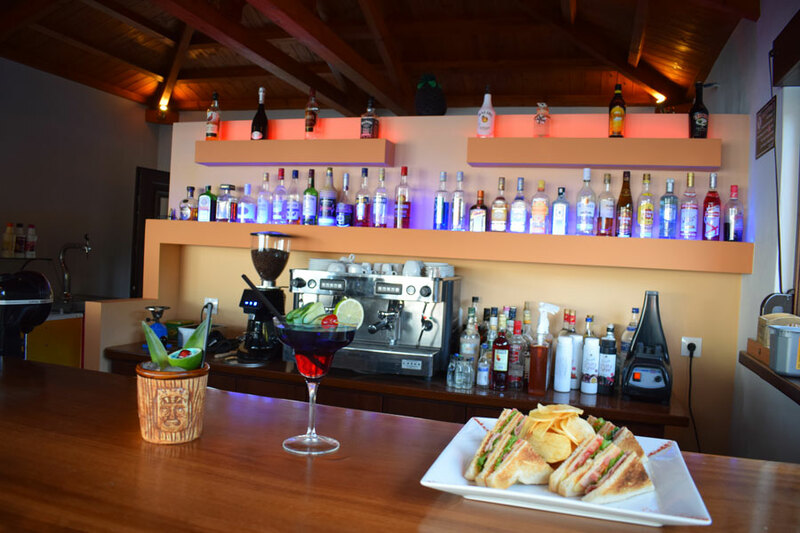 From early morning we serve breakfast with fresh juices coffee, toast, club sandwiches and other snacks. 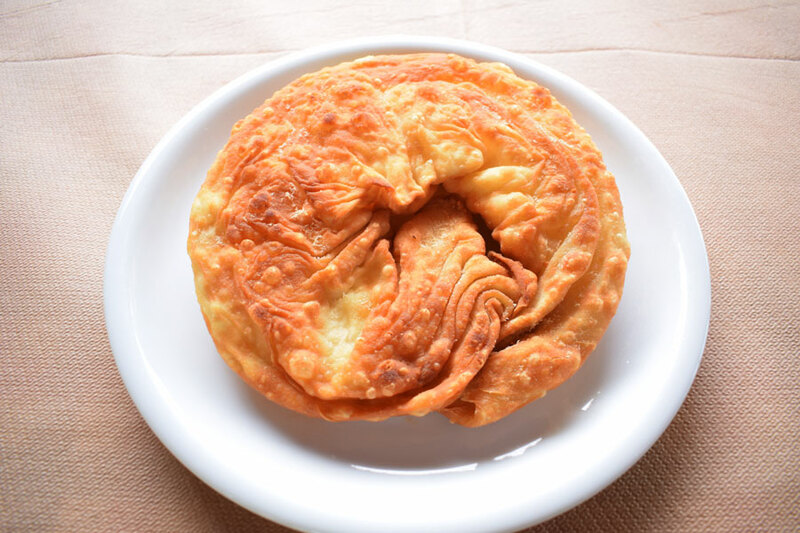 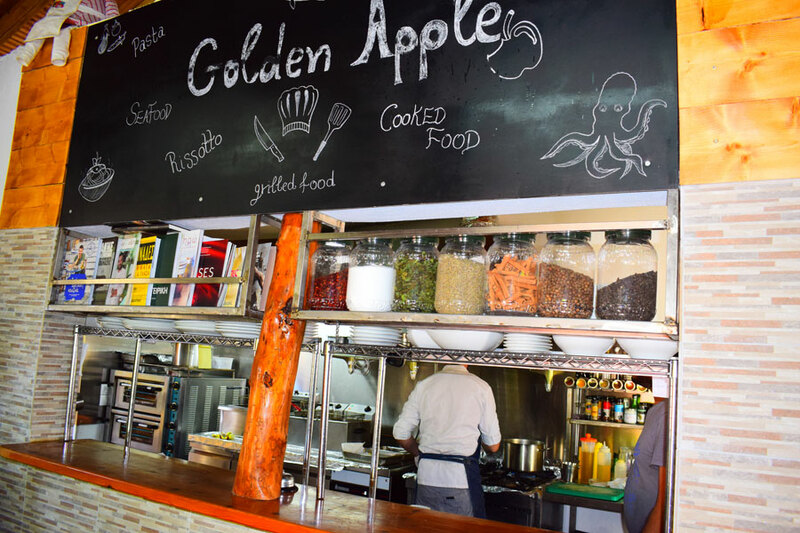 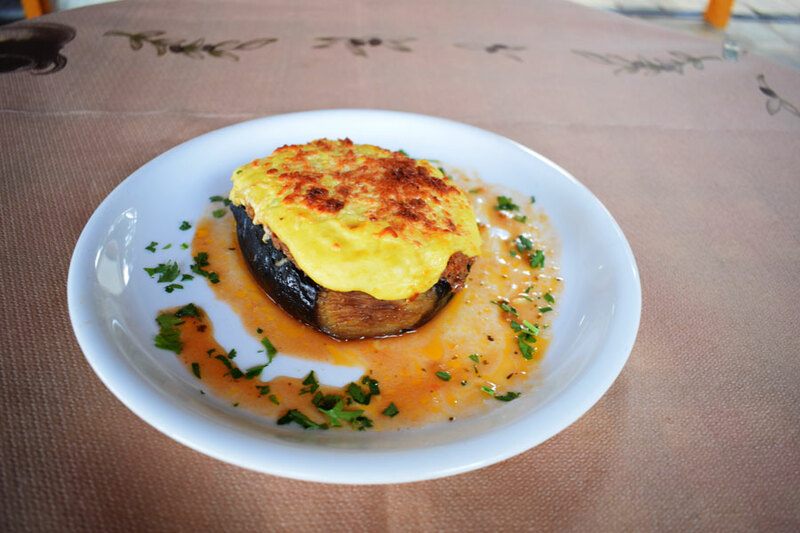 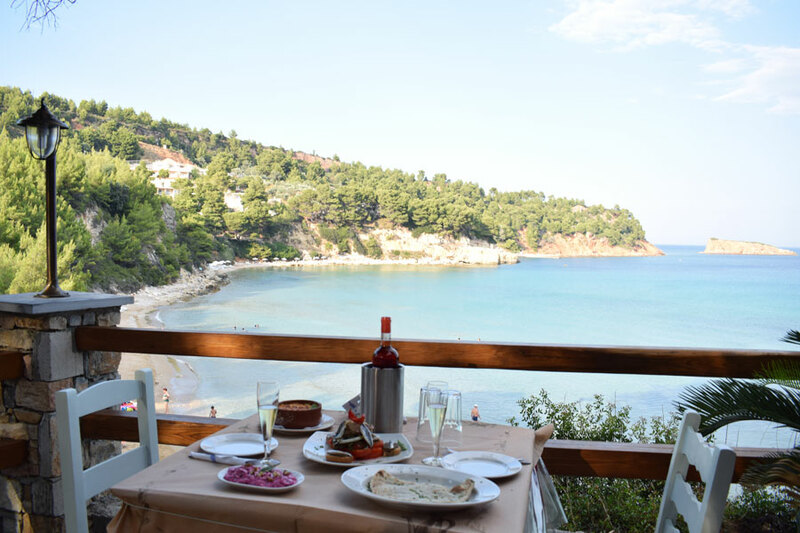 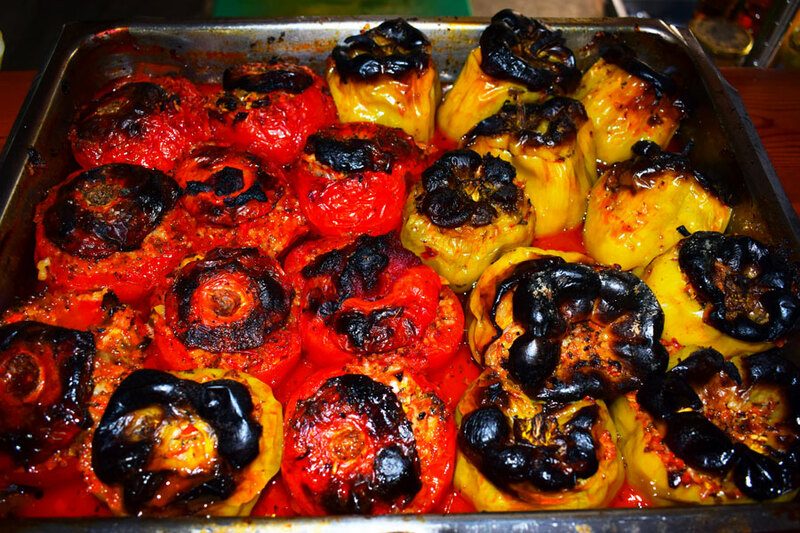 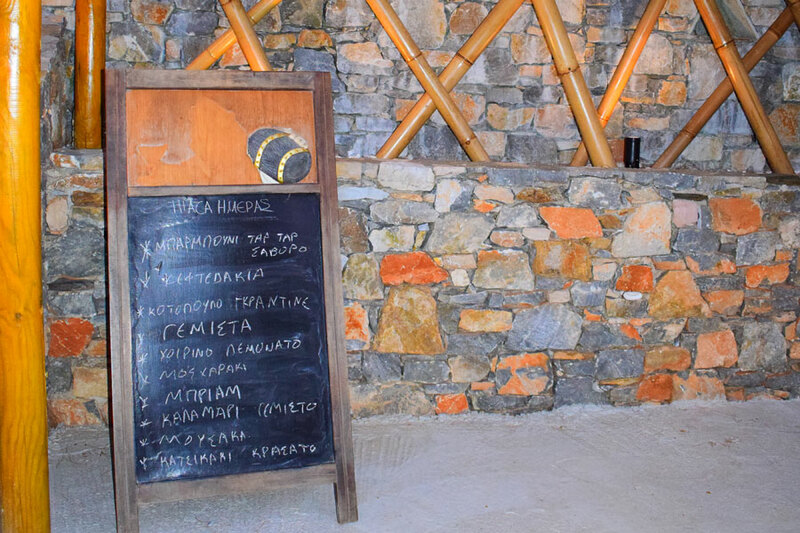 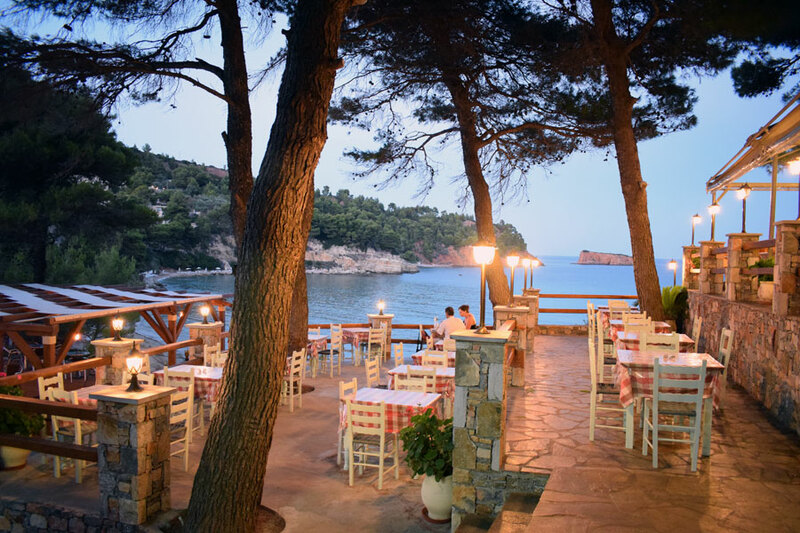 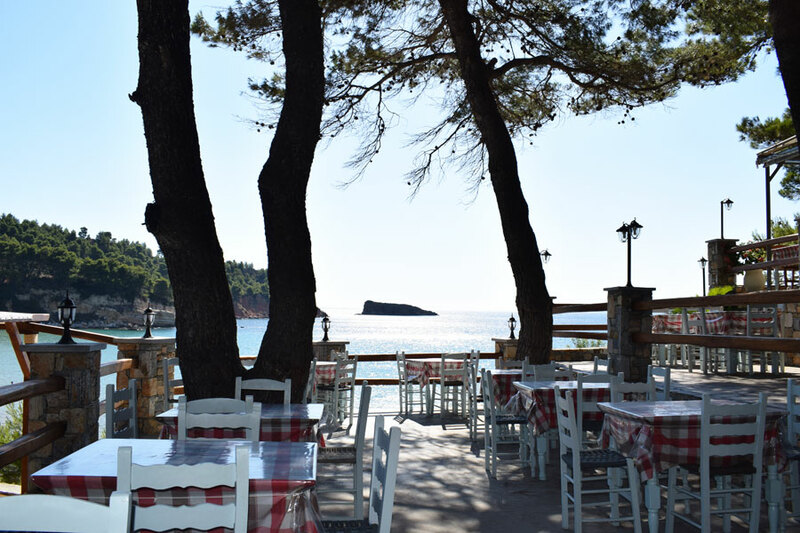 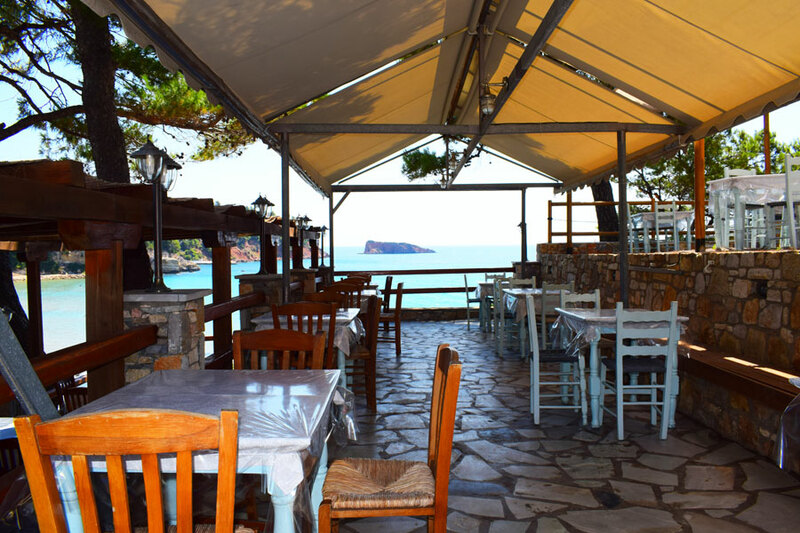 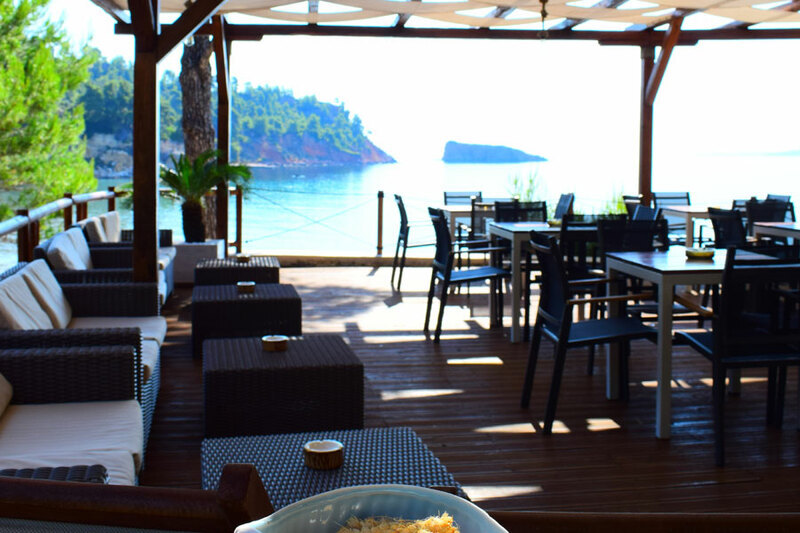 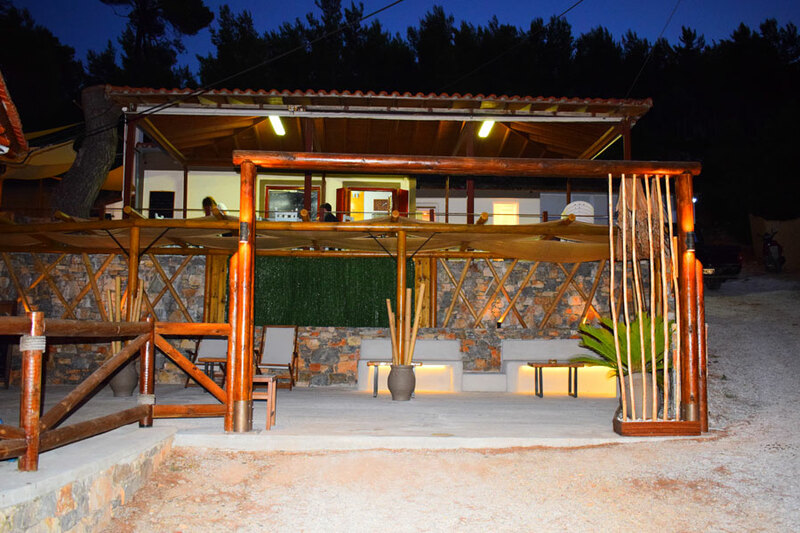 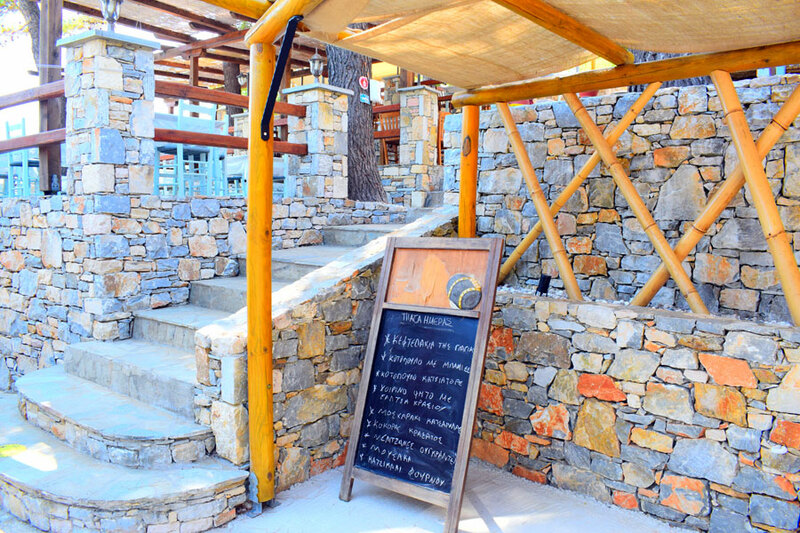 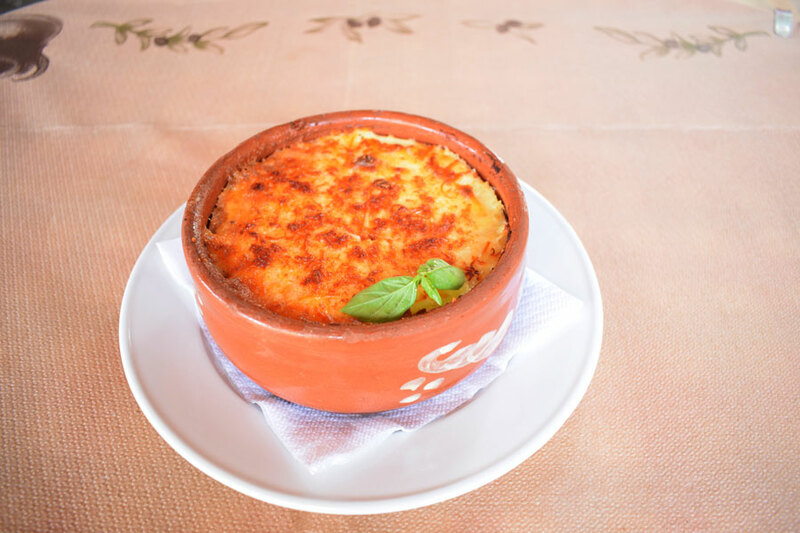 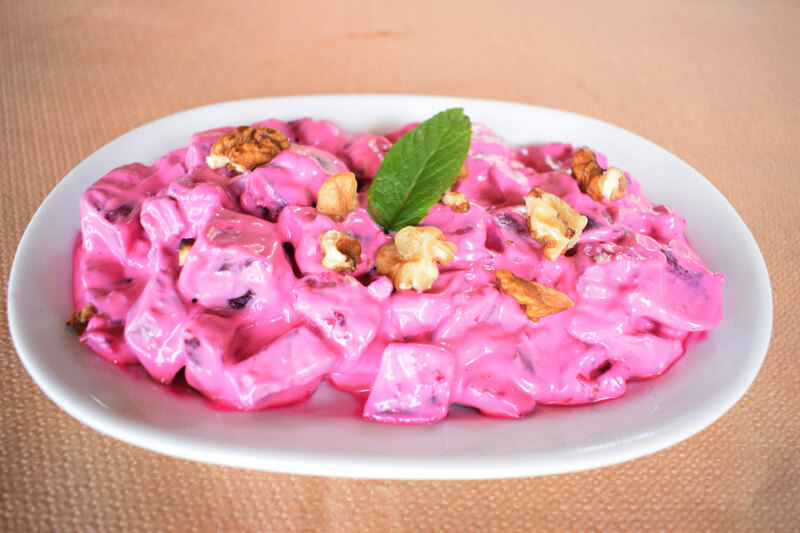 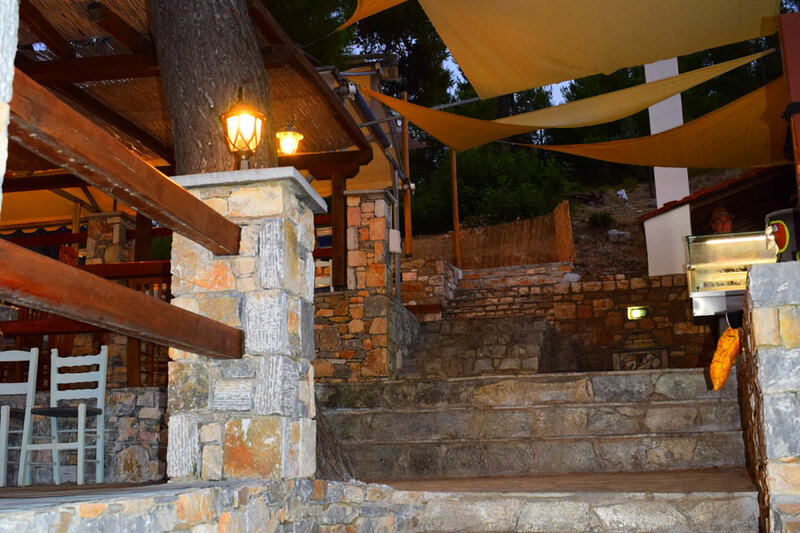 In the restaurant you can taste traditional delicacies such as alonissiotikes pies, spinach pie and cheese pie, the famous tone of Alonissos in salads and pasta and choose from many cooked dishes as moussaka, pastitsio, soutzoukakia and more. 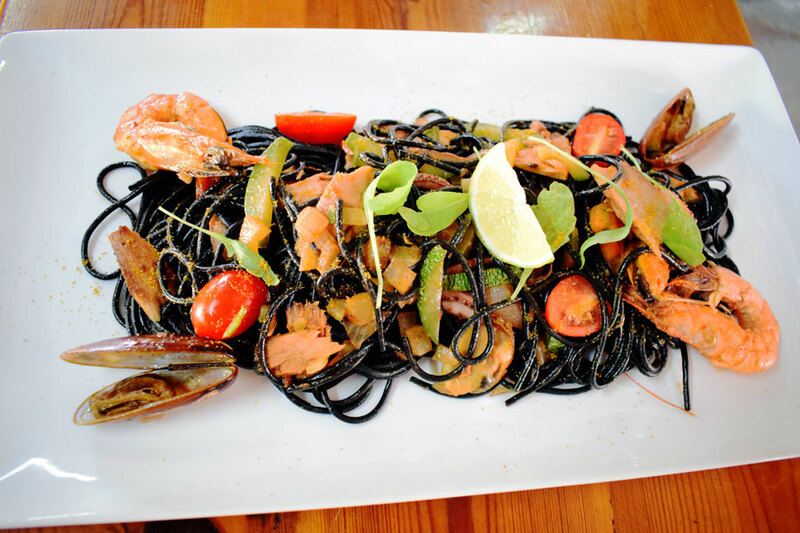 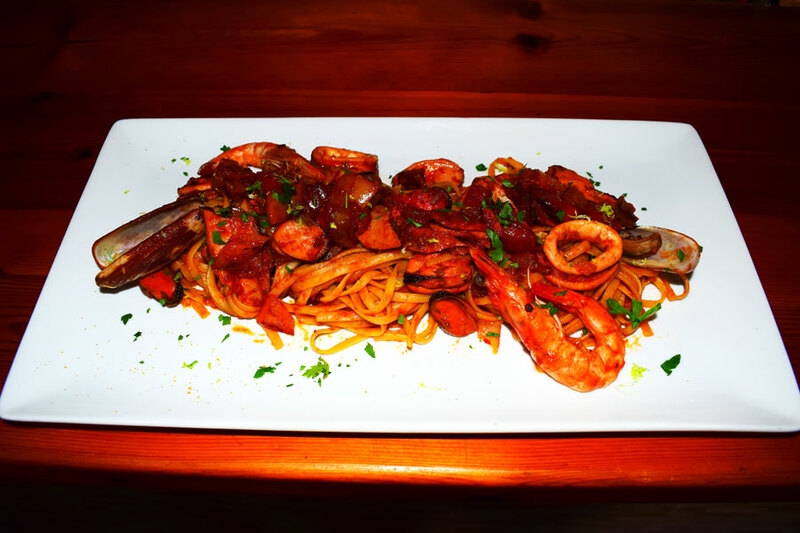 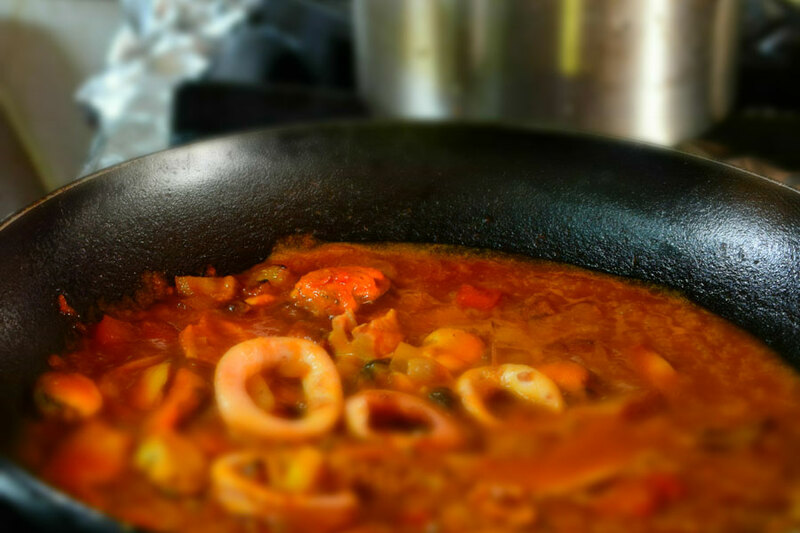 Of course our restaurant serves and seafood dishes such as lobster pasta and seafood. 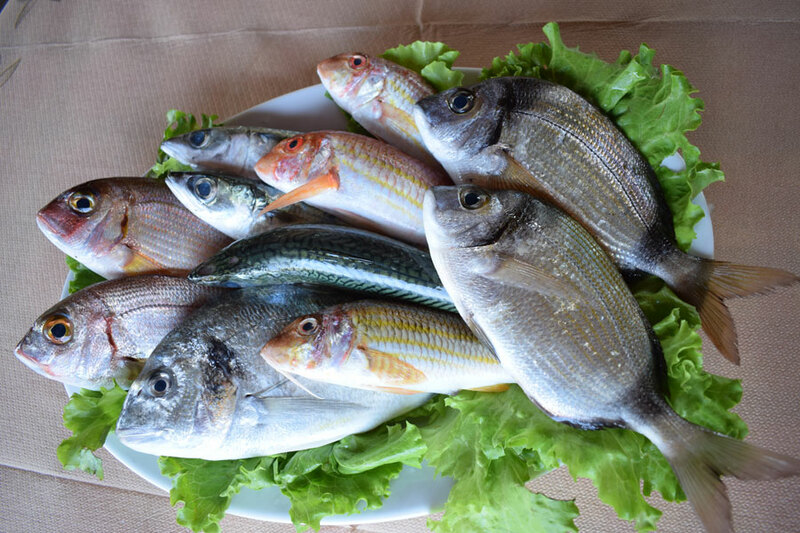 All seafood is fresh and are fished from Karoutsos family with their fish boat. 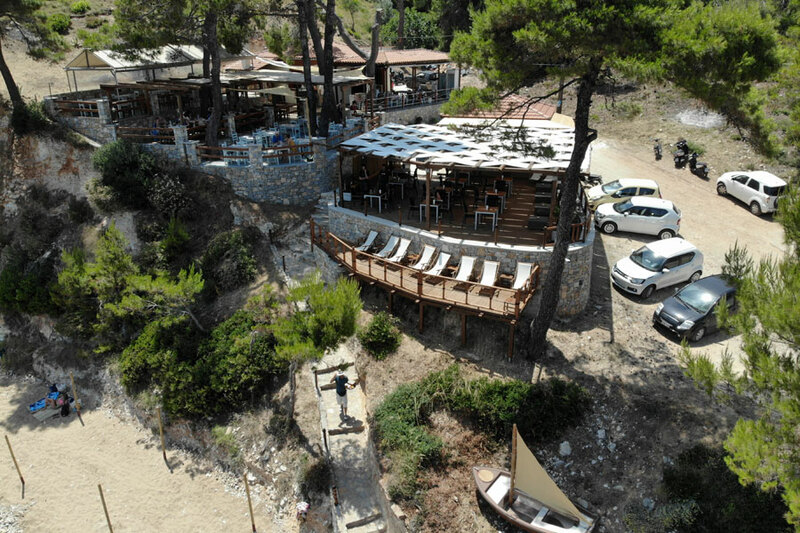 We can handle events in our restaurant with capacity of one hundred and fifty people. 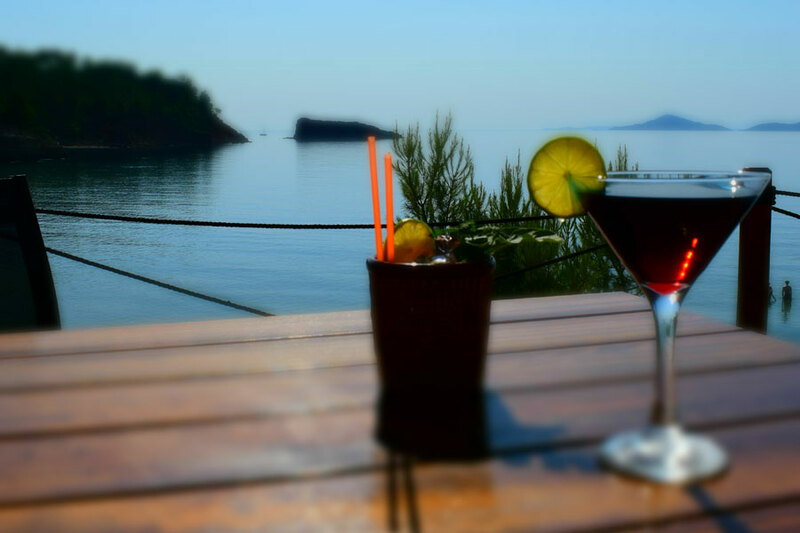 Coffees, drinks and coctails with exotic flavours!! 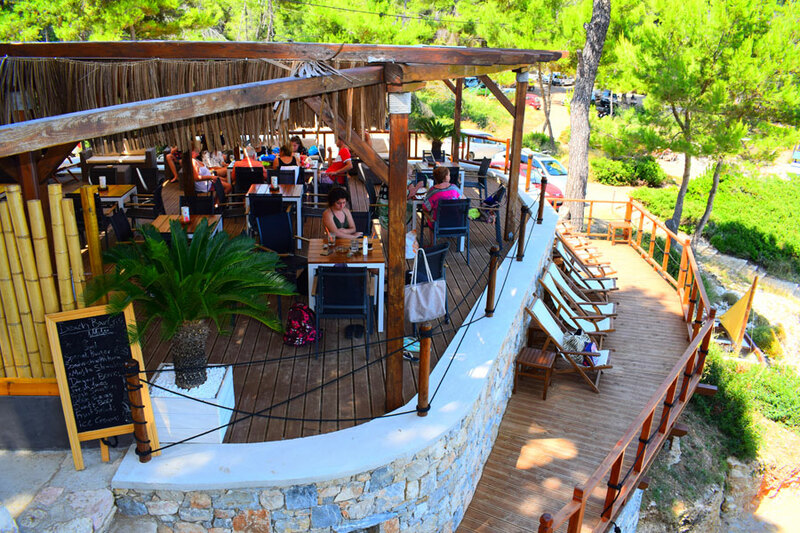 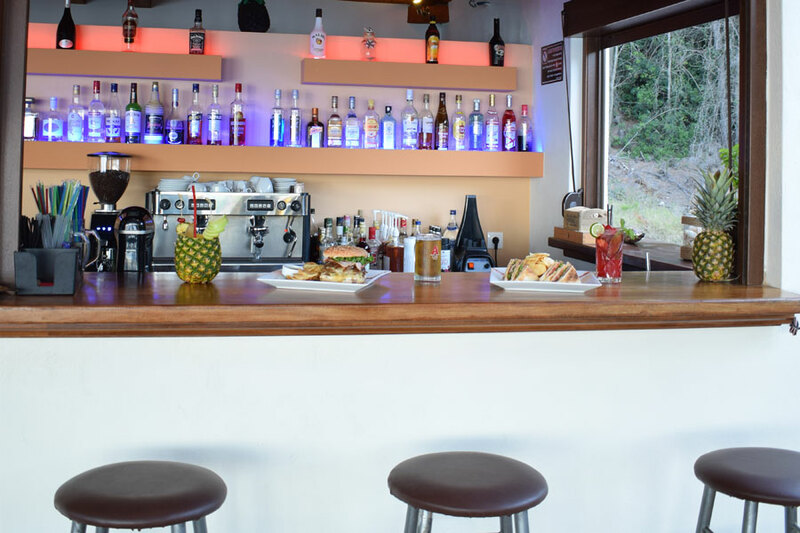 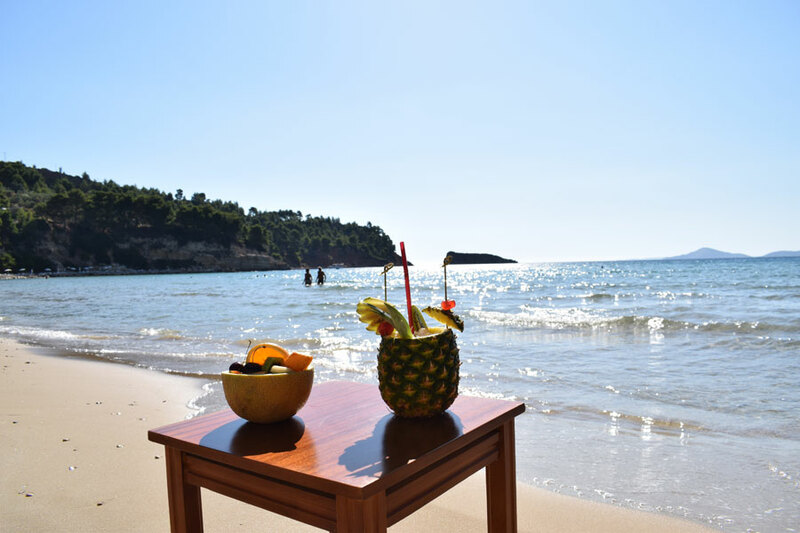 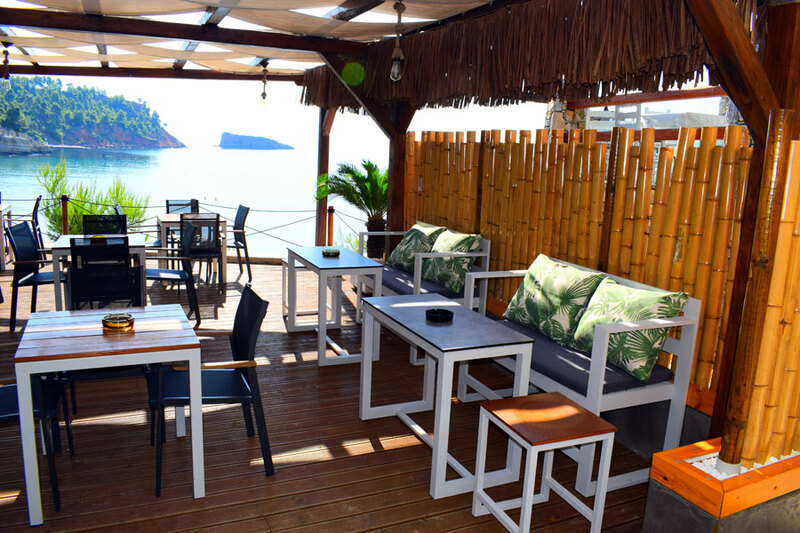 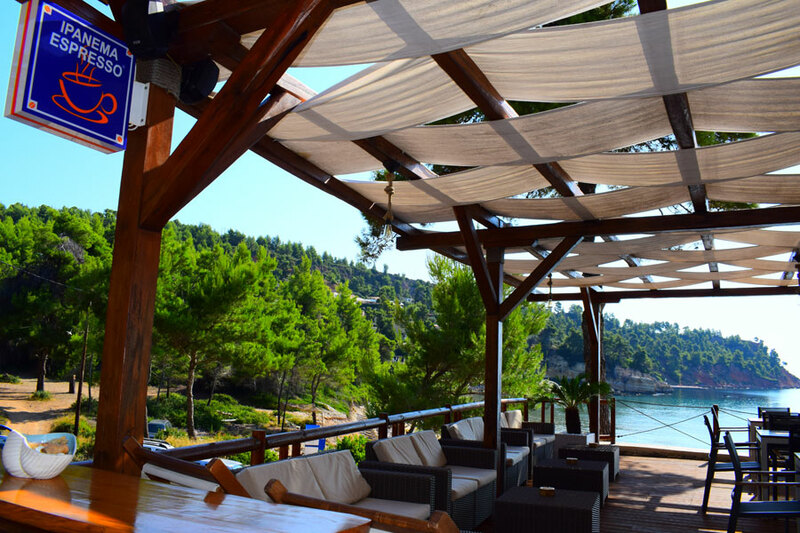 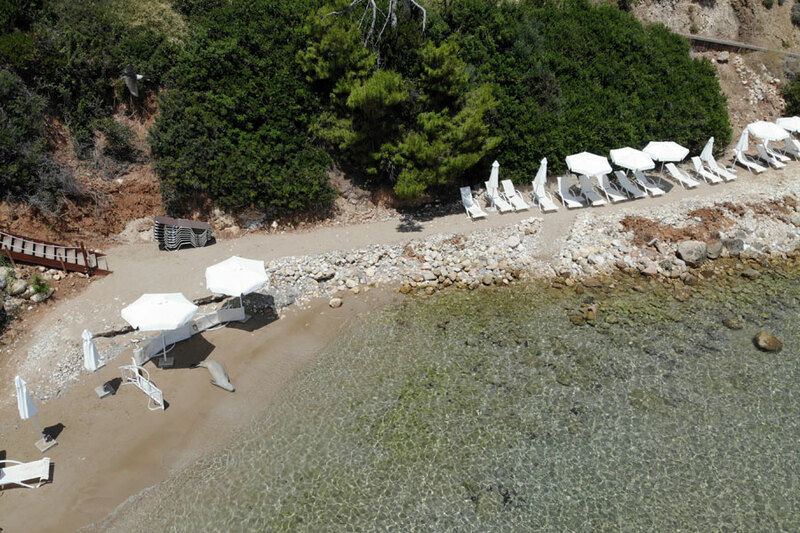 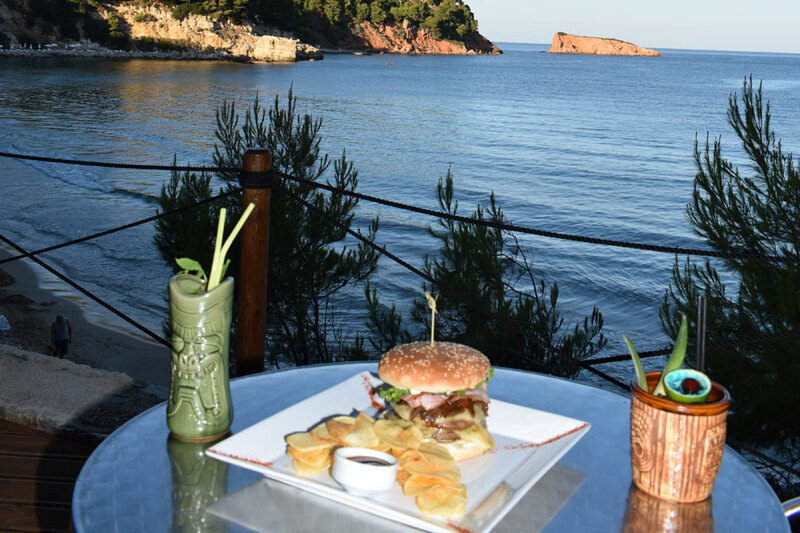 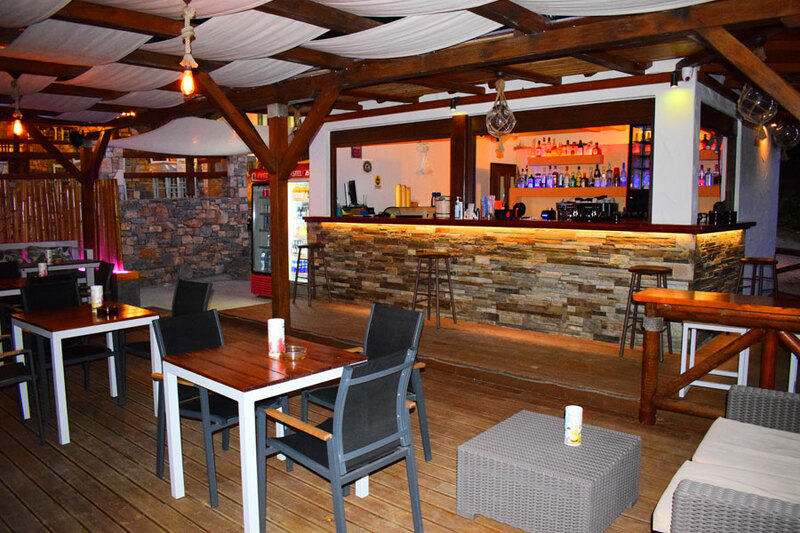 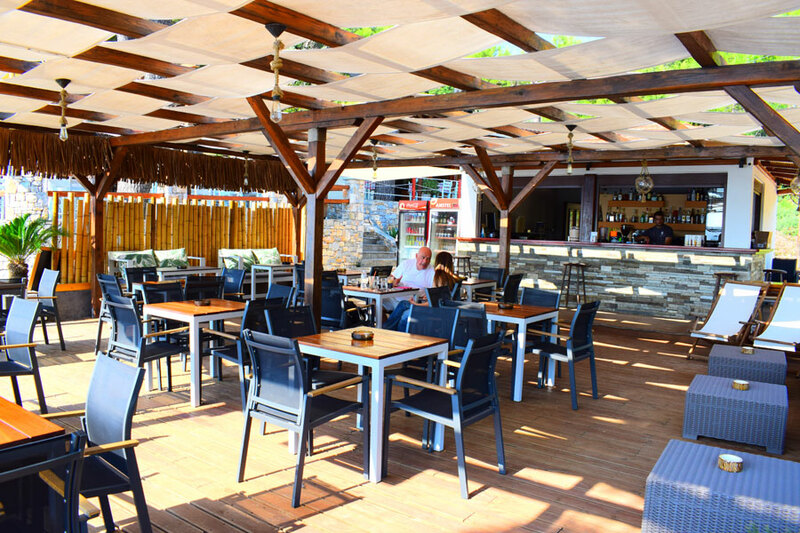 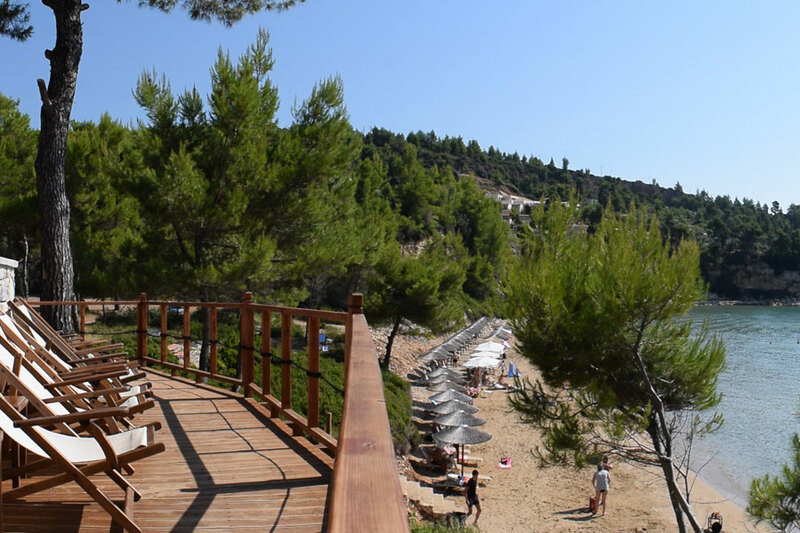 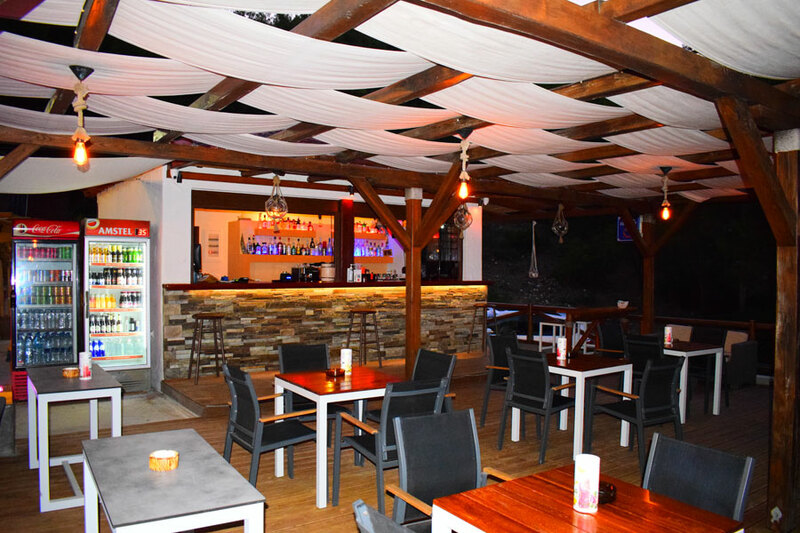 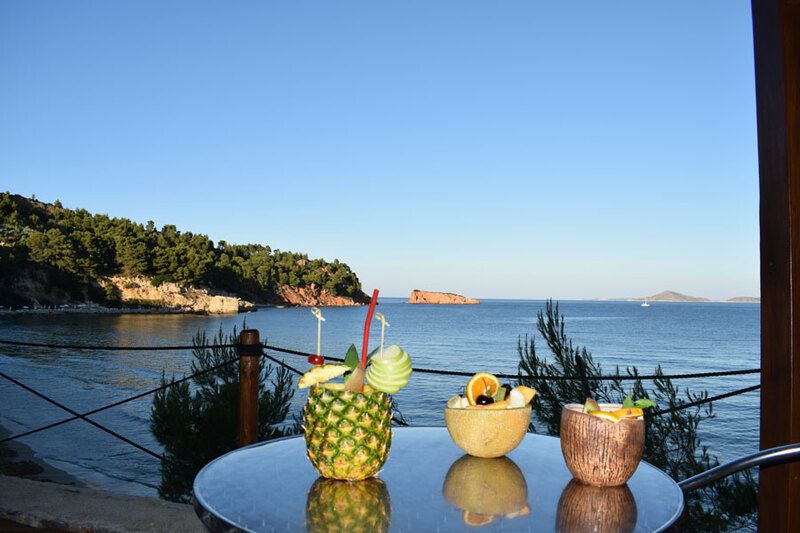 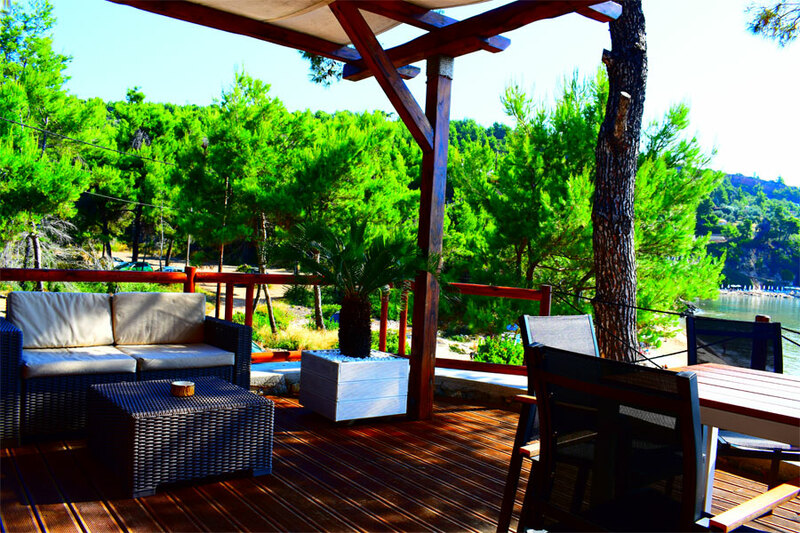 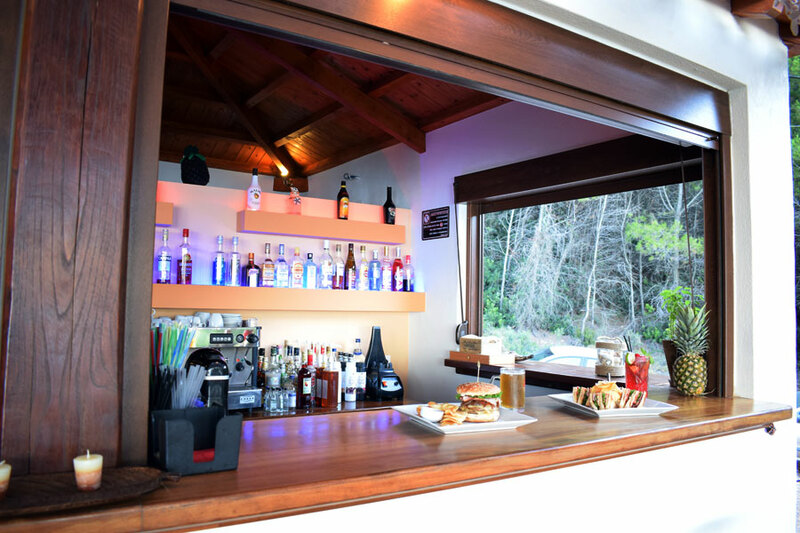 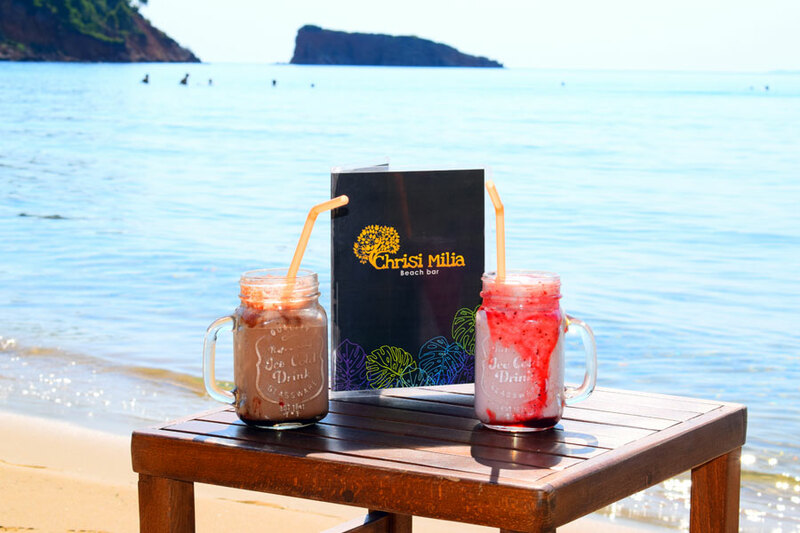 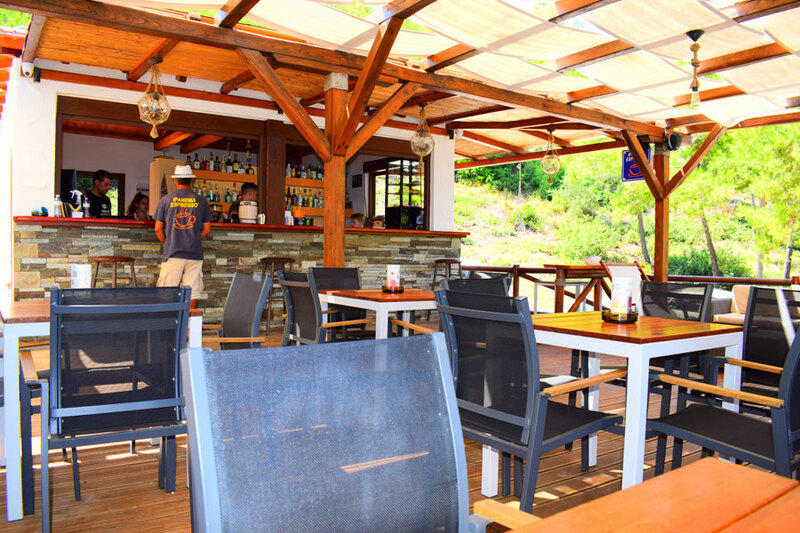 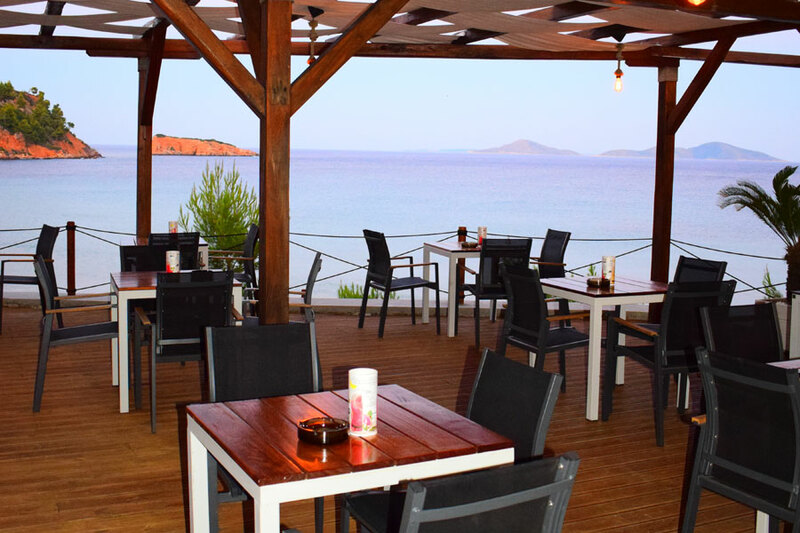 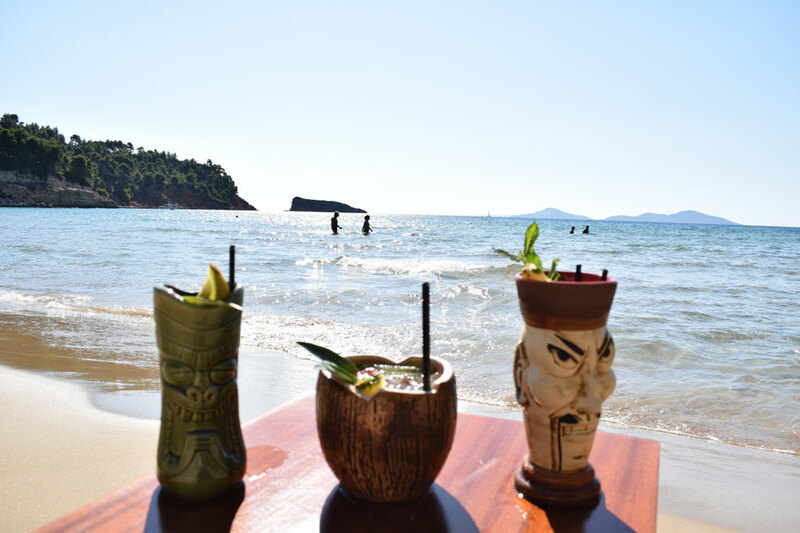 From the early hours Chrisi Milia Bar serves various drinks flavors and the visitors can enjoy them by overlooking the blue waters of the homonymous sandy beach. 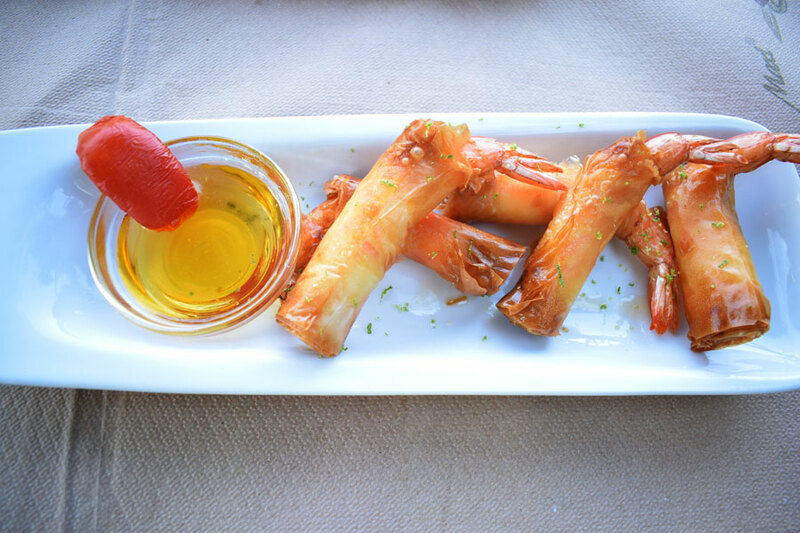 Wide variety of appetizers, snacks and cold dishes! 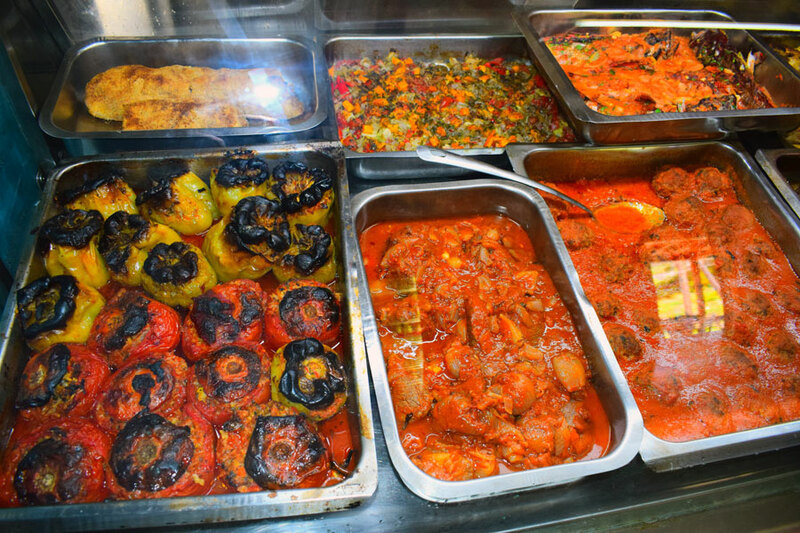 Yoy can enjoy great flavors throughout the day. 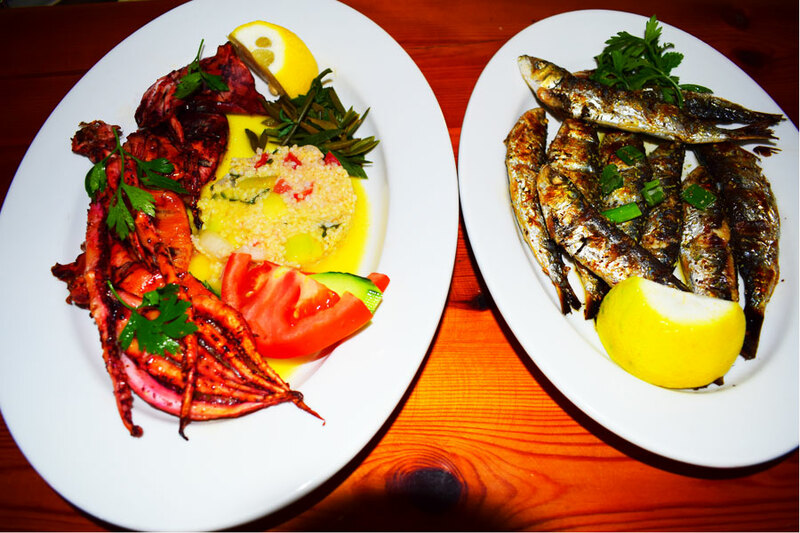 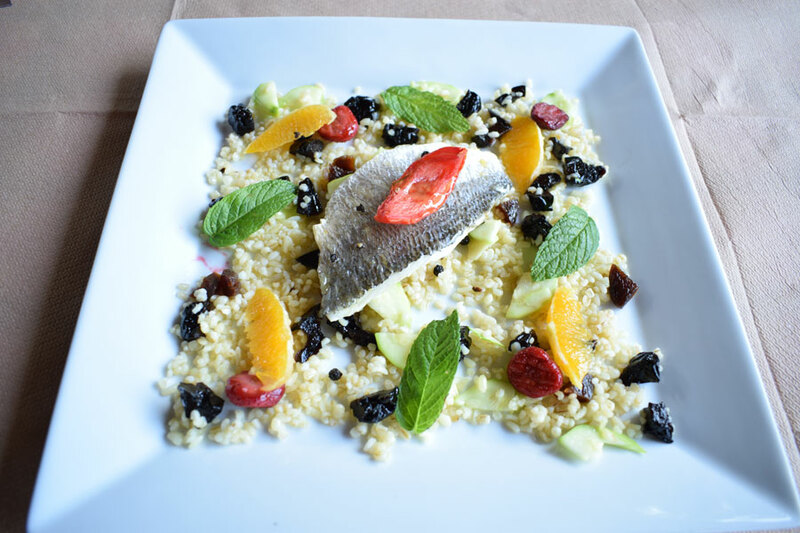 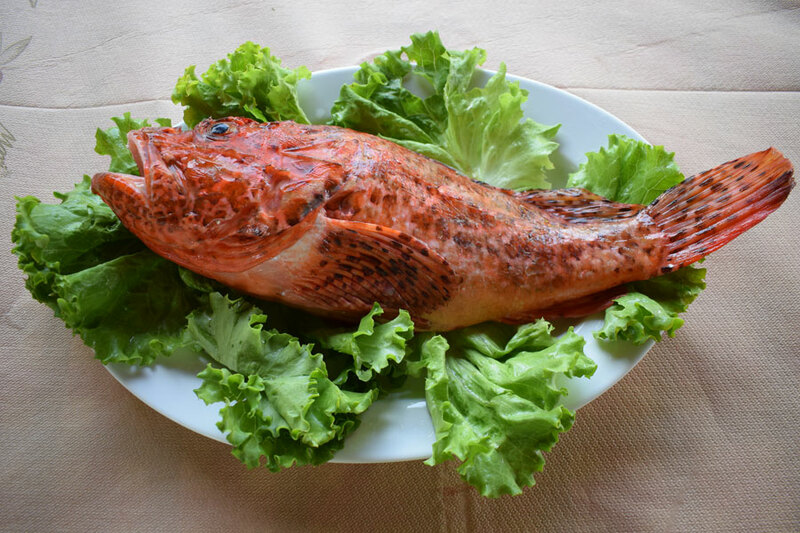 Freshly prepared food and excellent quality seafood! 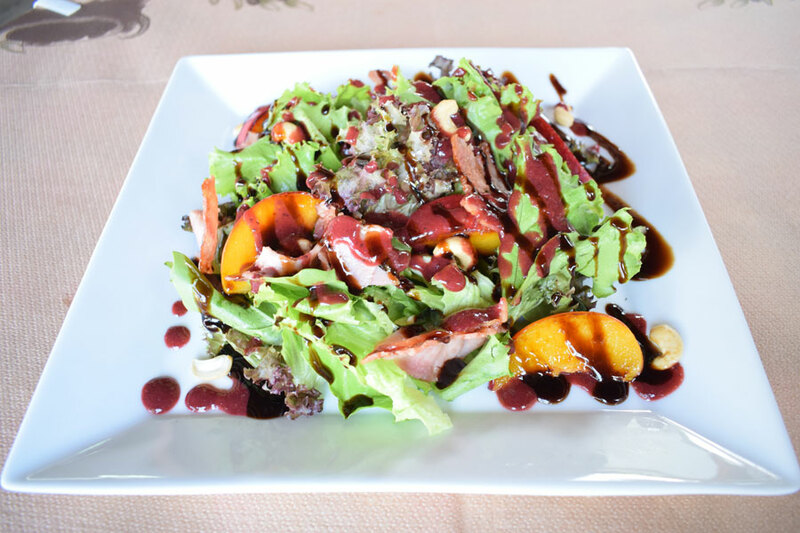 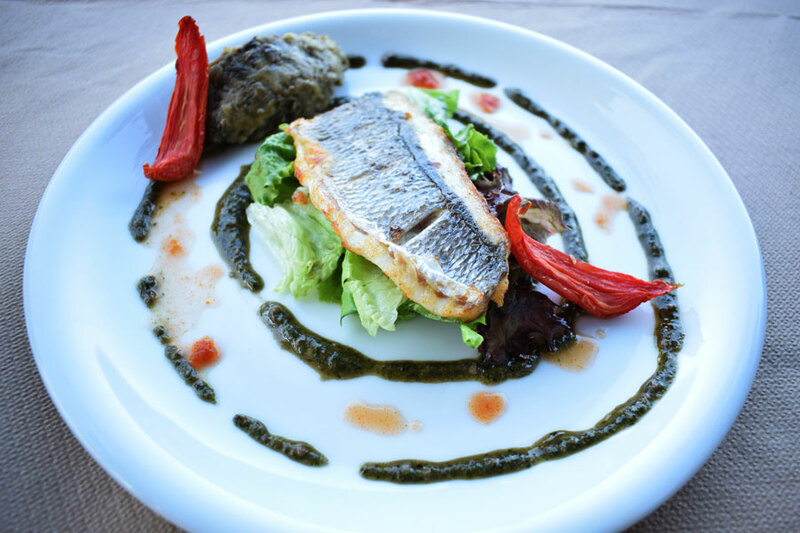 For the lovers of exquisite cuisine we create flavors of special quality and range. 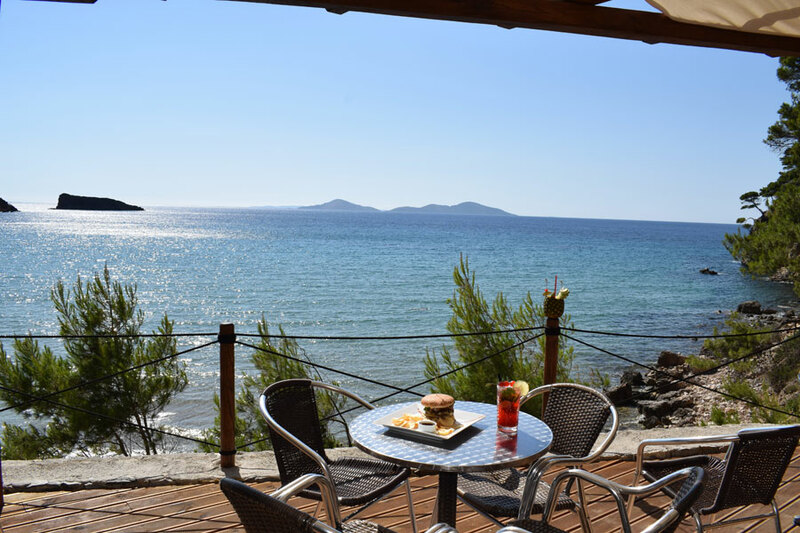 Lovely view to the blue waters of the Marine Park of Alonnisos! 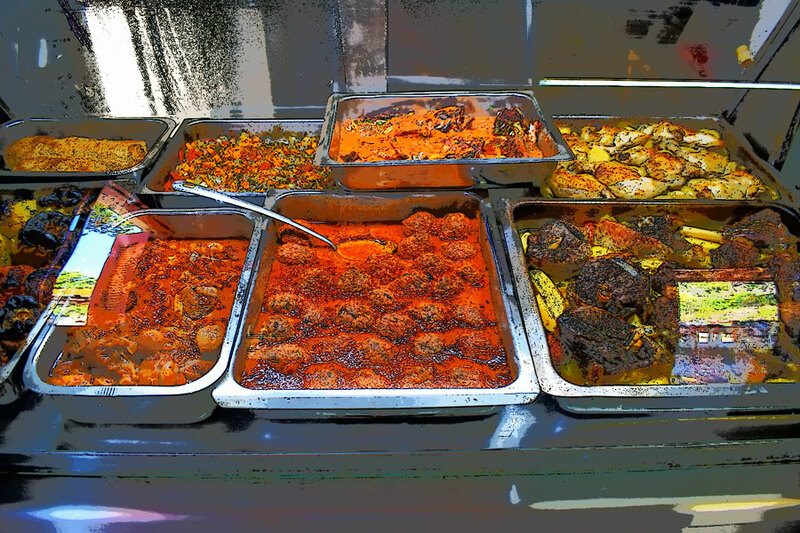 Flavours and proposals from our kitchen! 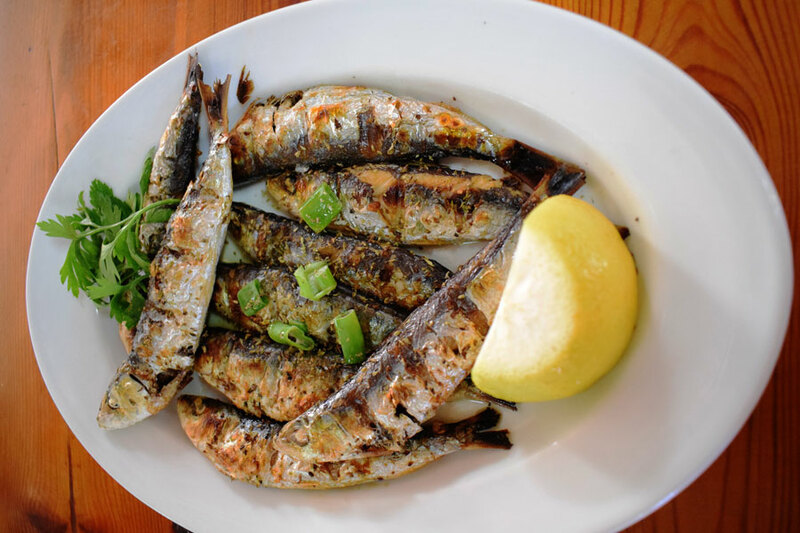 The Karoutsos family, making sure to ensure the best possible quality of the sea food, owns a boat, which uses it to catch fresh fish and seafood. 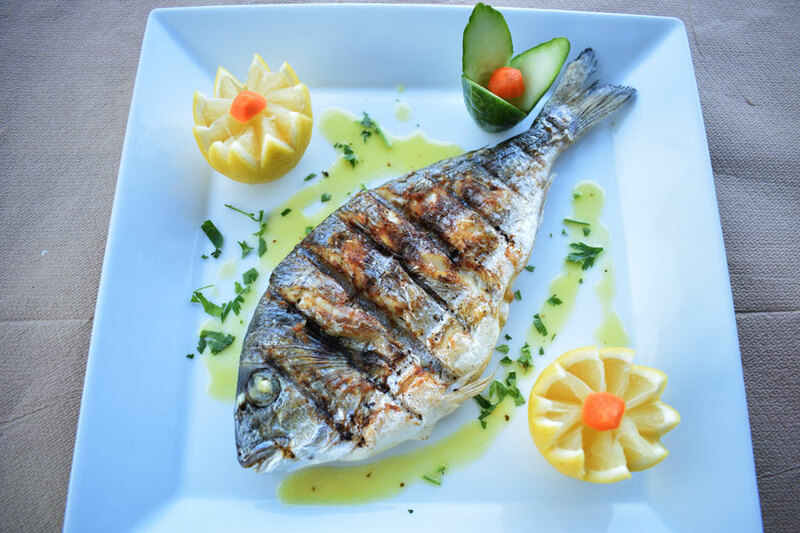 We encourage you to choose from a wide variety of fish, such as beetles, scorpion, melouna, swordfish and of course Alonissos tuna fish. 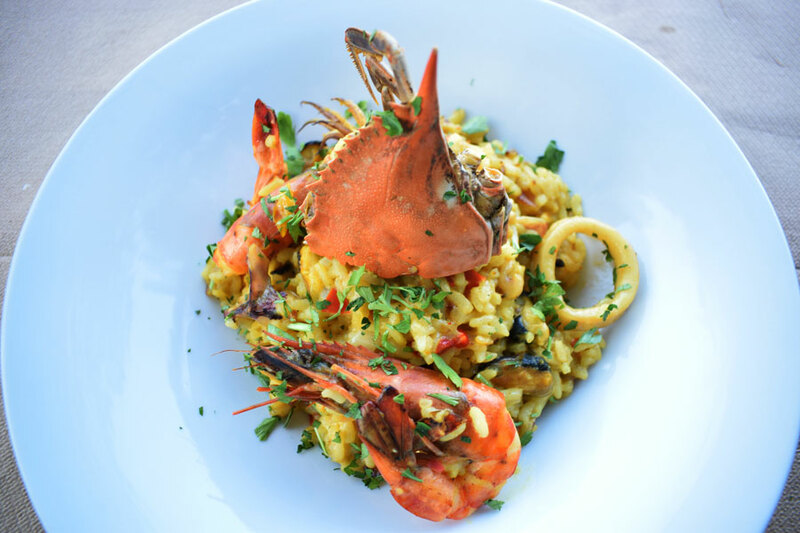 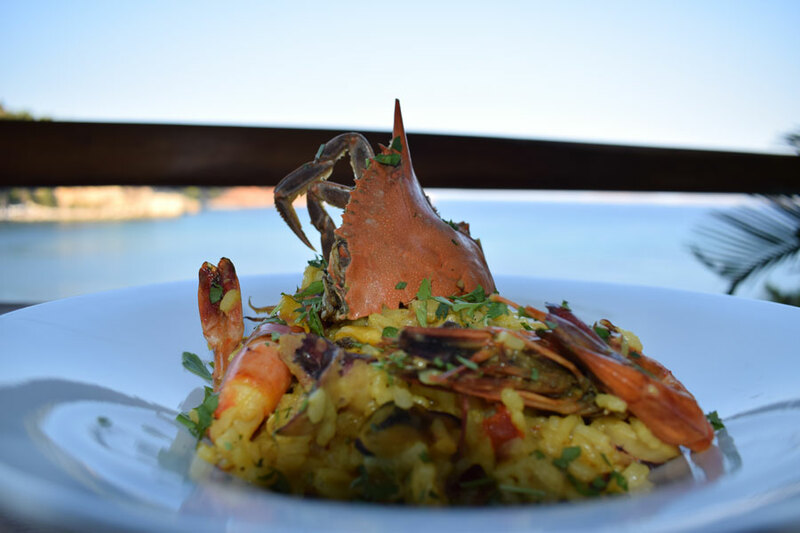 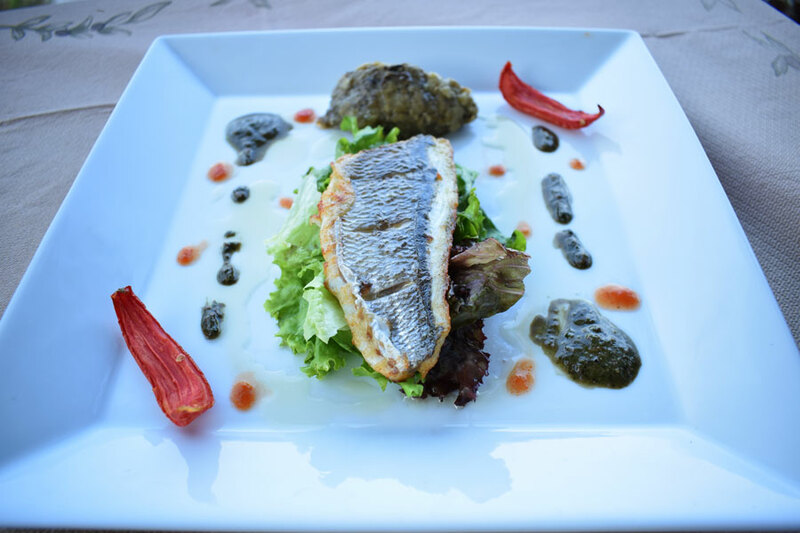 Using all the knowledge and the freshest seafood, the visitor can taste delicious dishes such as seafood risotto, lobster, salads with seafood flavors and natural fish grilled and fried. 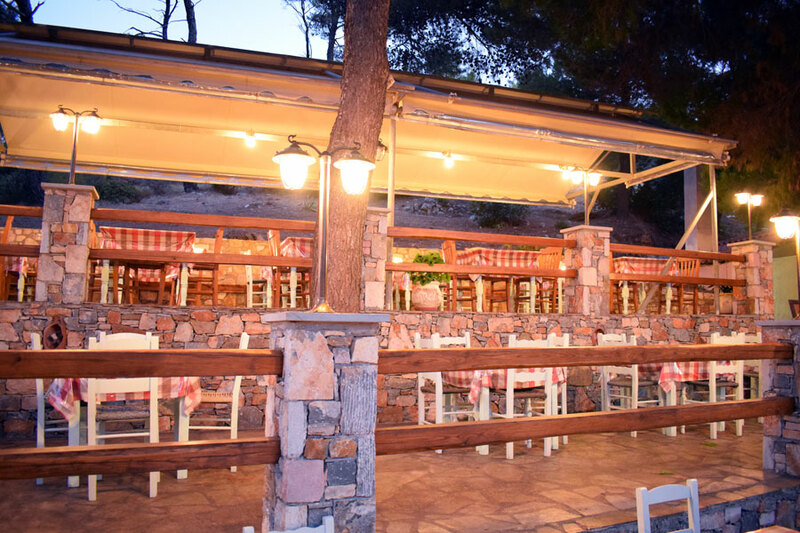 The restaurant also has and cooked food. 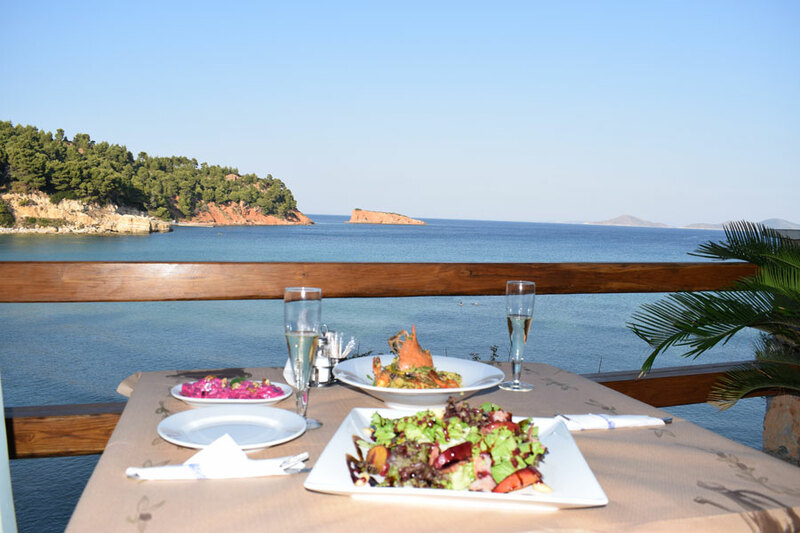 The chef of the business, Kostas Karoutsos, care for the variety and quality of each dish separately, using materials complying with excellent taste and extraordinary results. 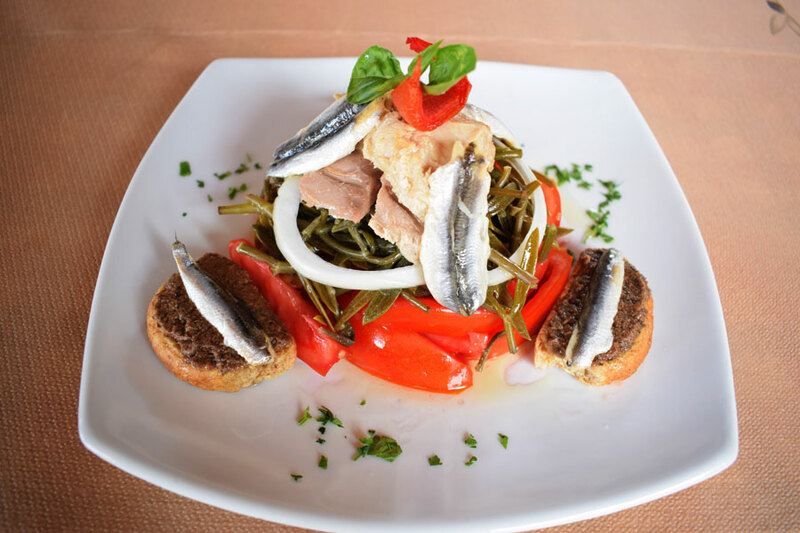 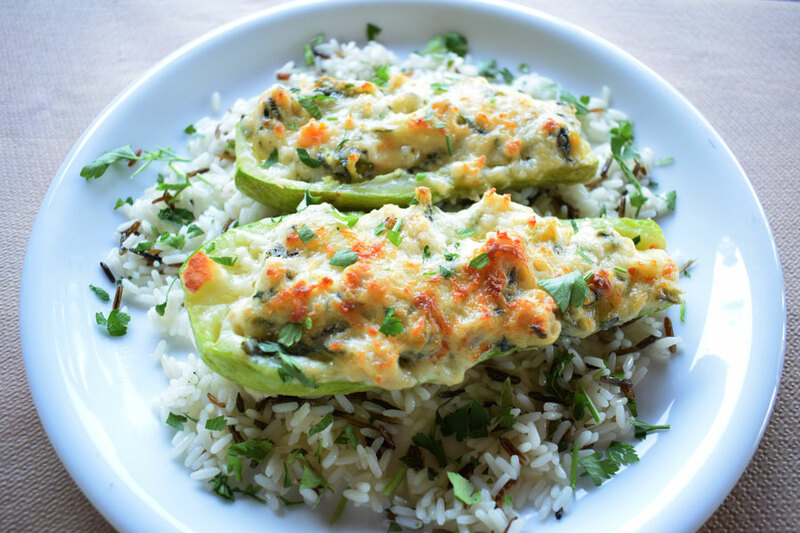 Some of the proposals are pastitsio, mousaka, handmade dolmades, patzarosalata and many more. 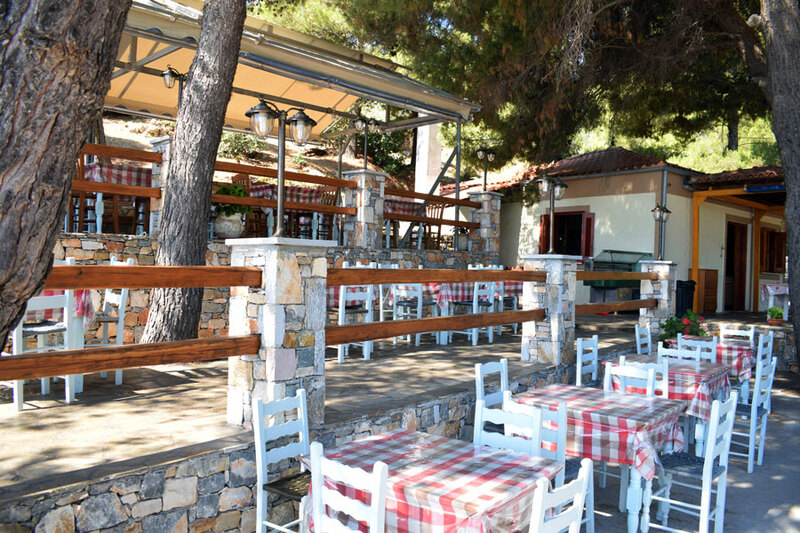 Για την νεολαία και τους λάτρεις του γρήγορου φαγητού, στη Χρυσή Μηλιά μπορείτε να δοκιμάσετε εξαιρετικά club sandwich και burgers με τηγανιτές πατάτες, καθώς και σαλάτες και διαφορα κρύα πιάτα. 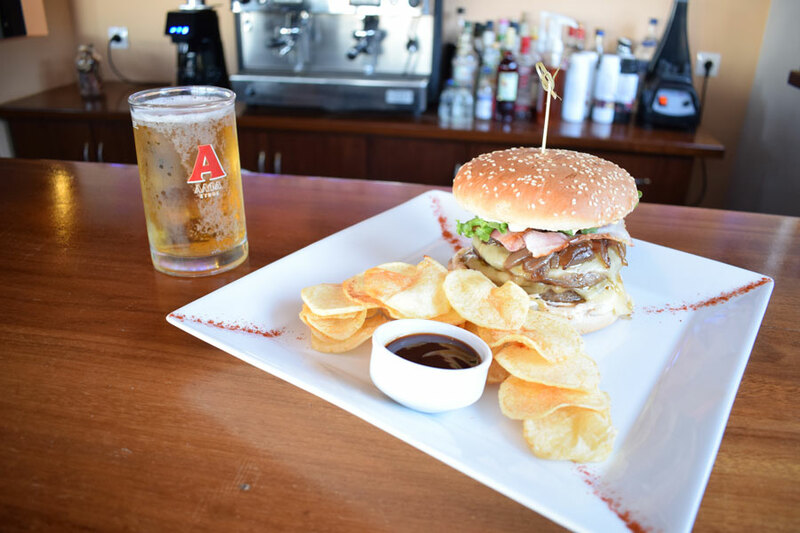 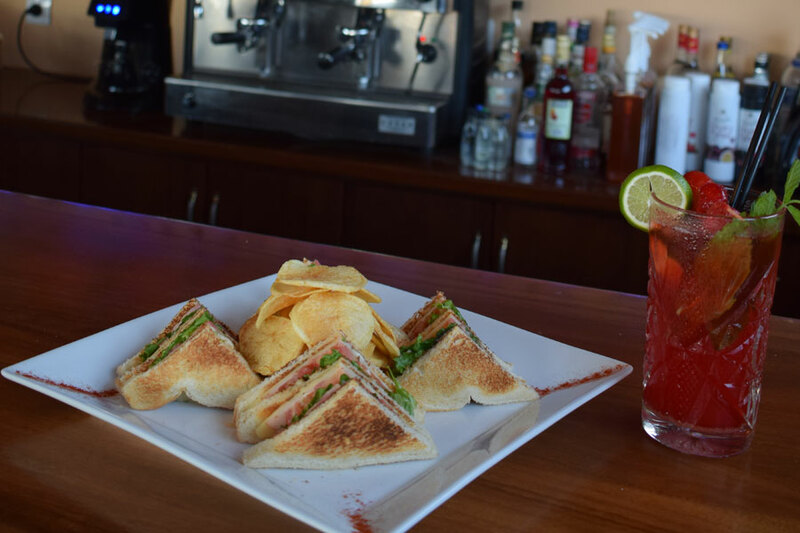 For the young people and the lovers of fast food, at Chrisi Milia restaurant you can taste club sandwich and burgers with french fries, salads and various cold dishes. 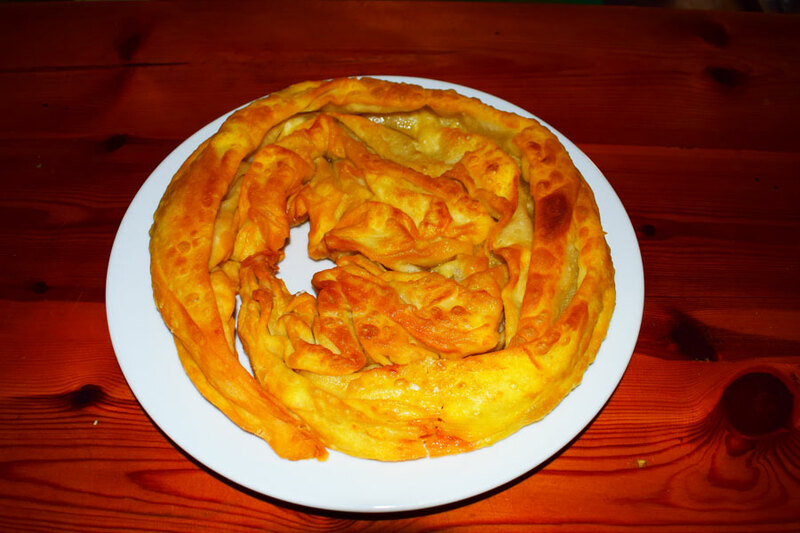 All pies are made with our traditional crust opened at that time. 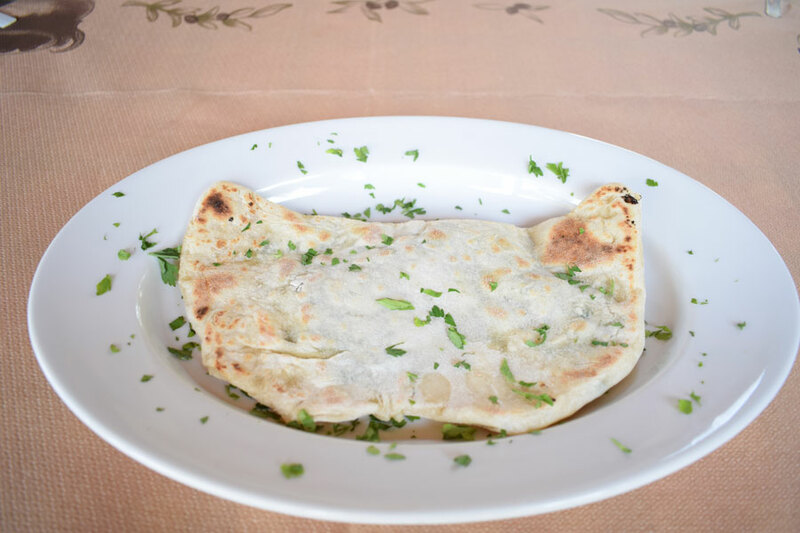 Spinach Pie, traditional Alonissos cheese pie, bgki are just some of the pies we offer. 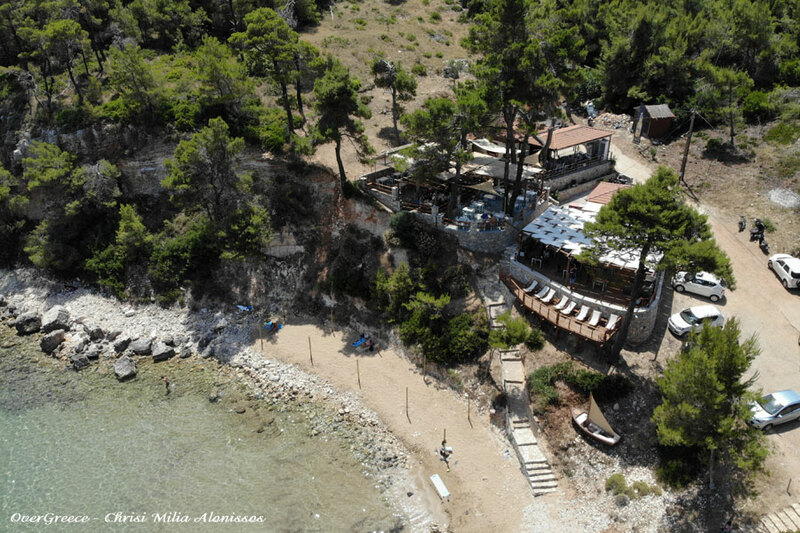 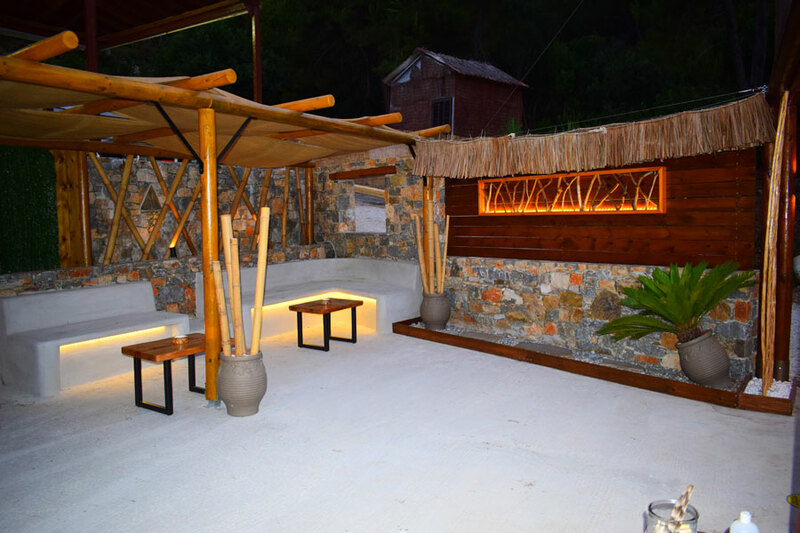 Chrisi Milia Bar - Restaurant can host events of various kinds of parties and simple gatherings as friendly parties, cocktail parties, events, weddings, baptisms and any kind of parties. 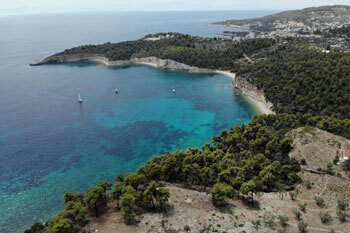 Alonissos is a beautiful green island with a variety of beaches and amazing views of the Aegean Sea. 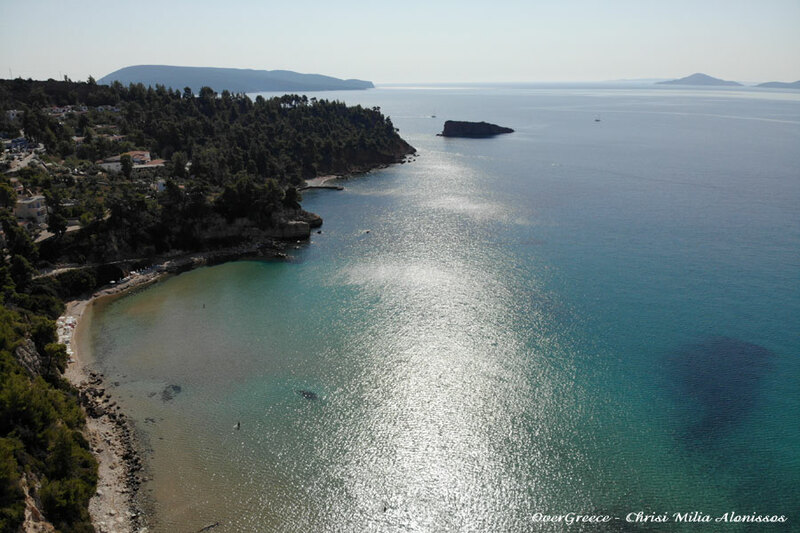 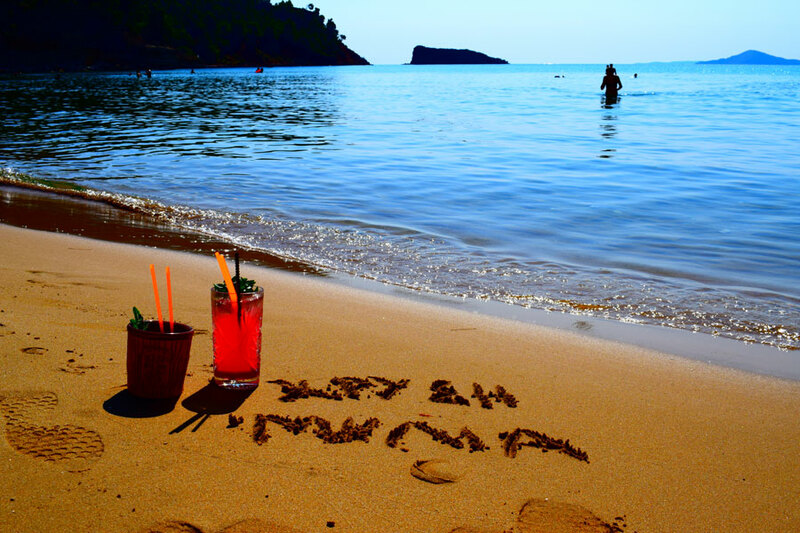 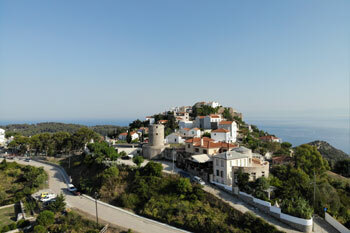 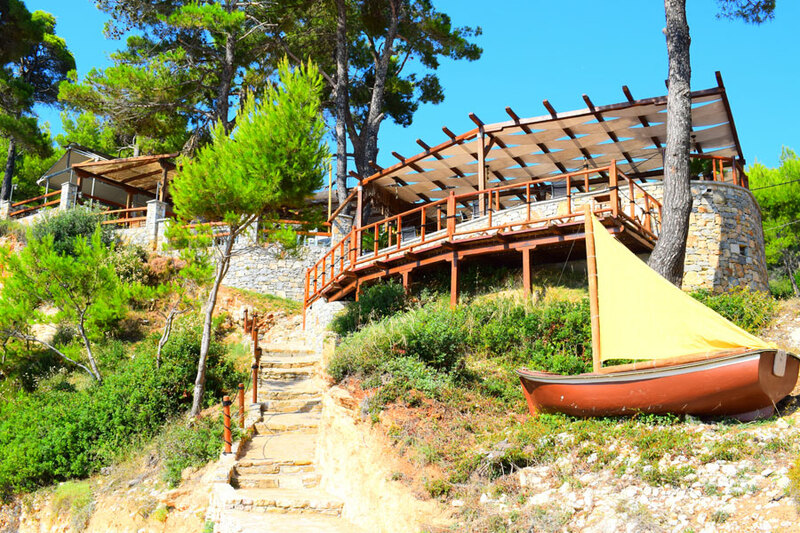 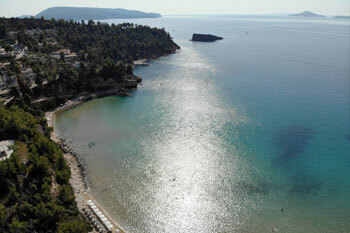 It belongs to the Sporades Complex Along with Skiathos, Skopelos and Skyros. 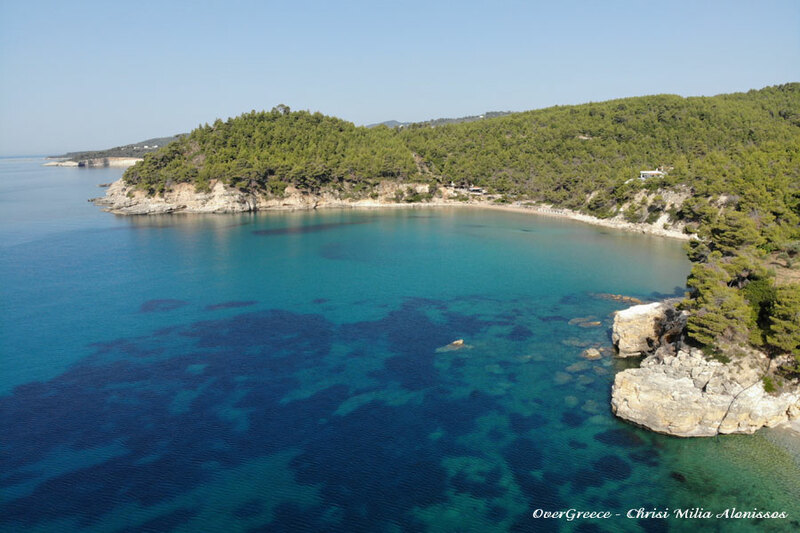 In Alonissos is found also the National Marine Park of Sporades, the first Marine Park in Greece and the largest protected marine area in Europe. 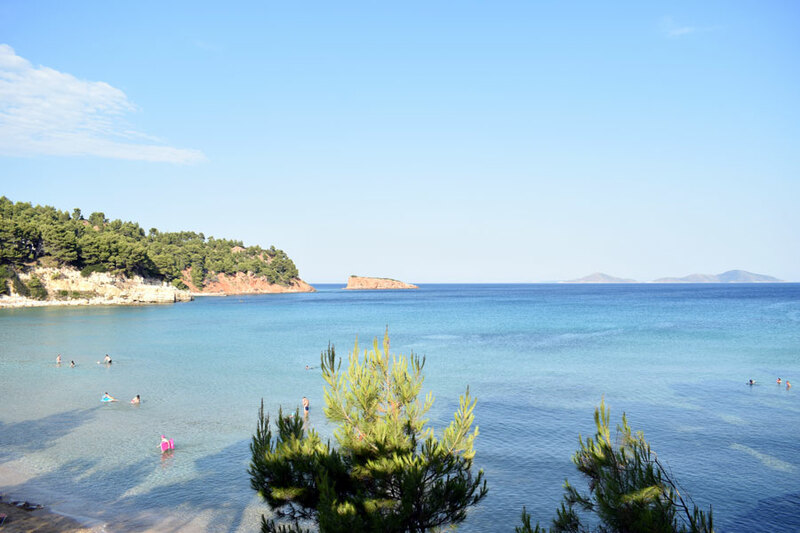 Besides the sea area, the Park includes the island of Alonissos, 6 smaller islands (Pigeon, Kyra Panagia, Psathoura, Pepper, Skatzoura and Jura) and 22 islets. 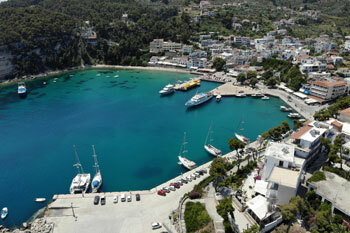 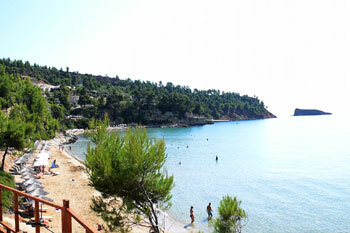 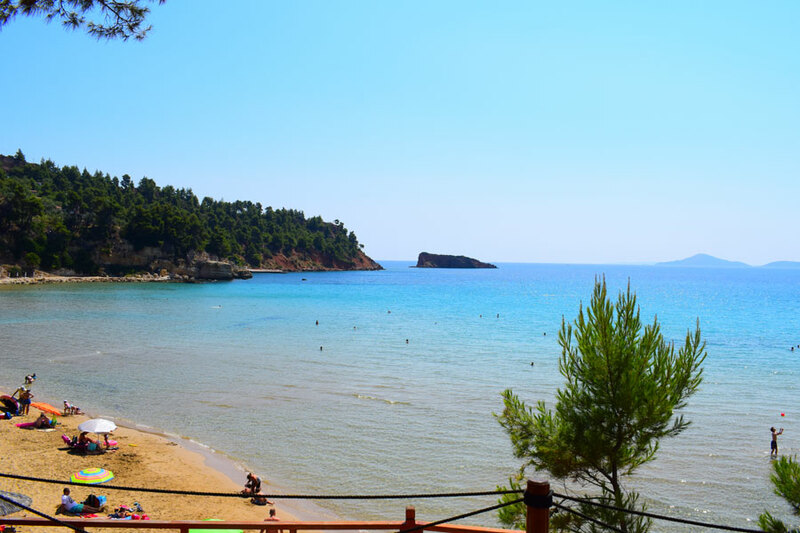 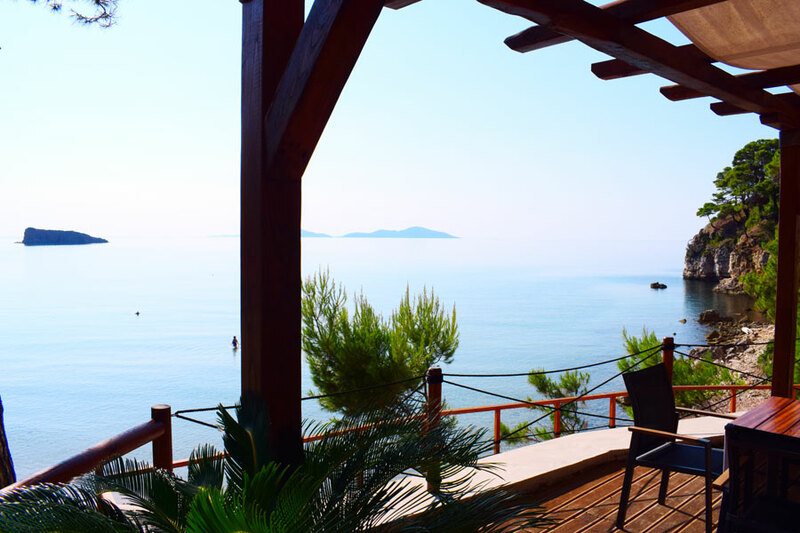 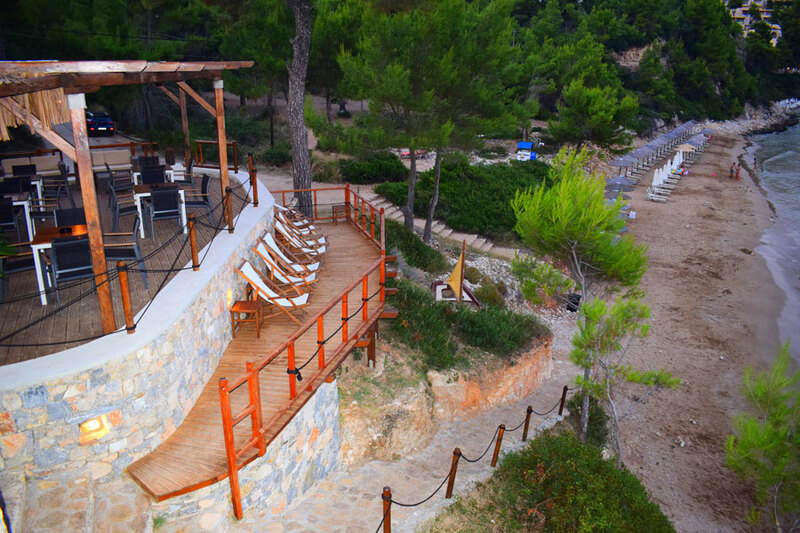 Visit the beautiful island of Alonissos and have unforgettable vacation! 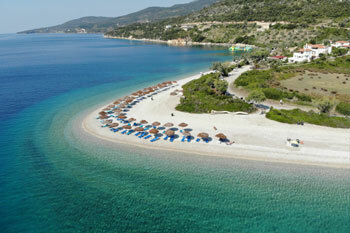 And if you have luck, you will see monachus monachus and playful dolphins!! 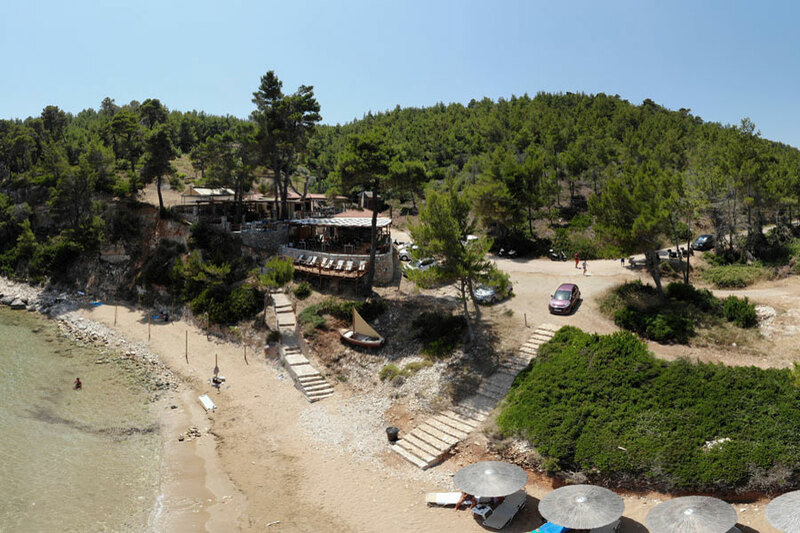 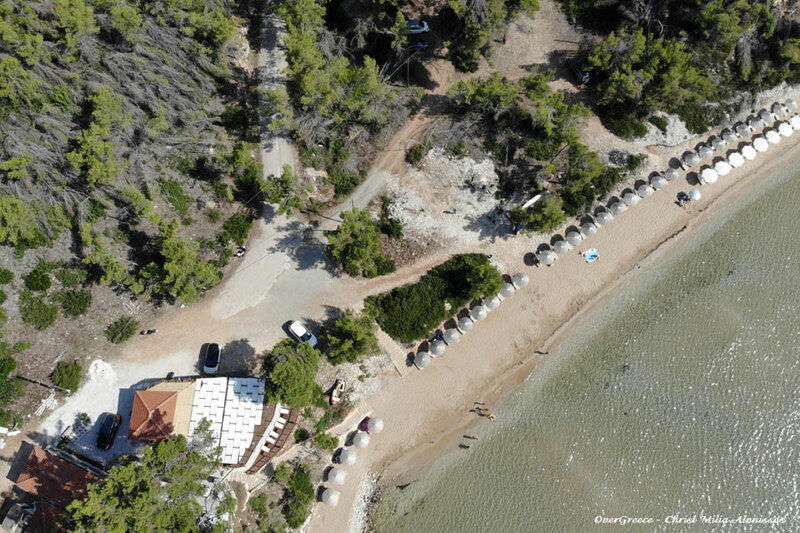 Chrisi Milia Beach, Alonissos, Sporades.